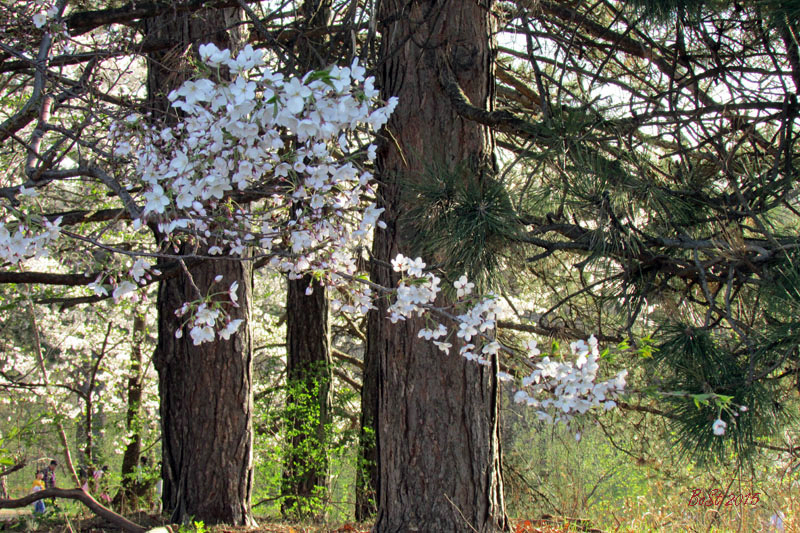 After the long drawn out winter when finally the snow receded and all the pristine whitewash of nature was gone, the naked trees and the soggy ground was cloaked in various shades of gray and brown and dominated nature’s palette. 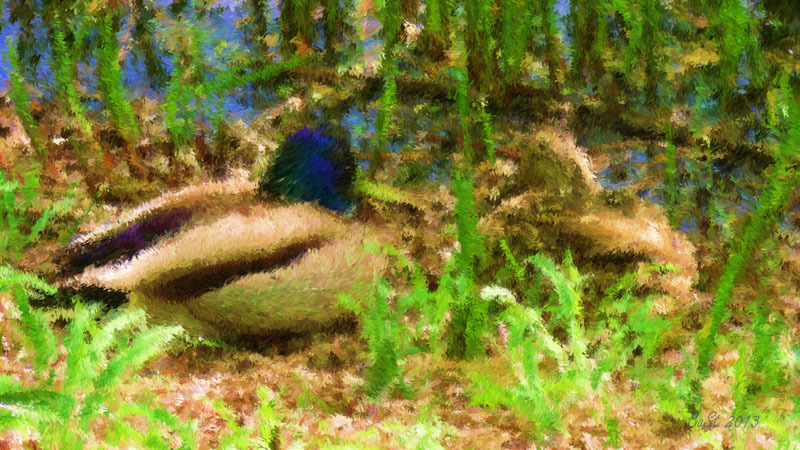 We did not mind the rain showers in April and, now in May, we wistfully wait for the green hues to manifest and avidly hunt for the emerging new shoots, all of which are representative of new life and new beginnings. 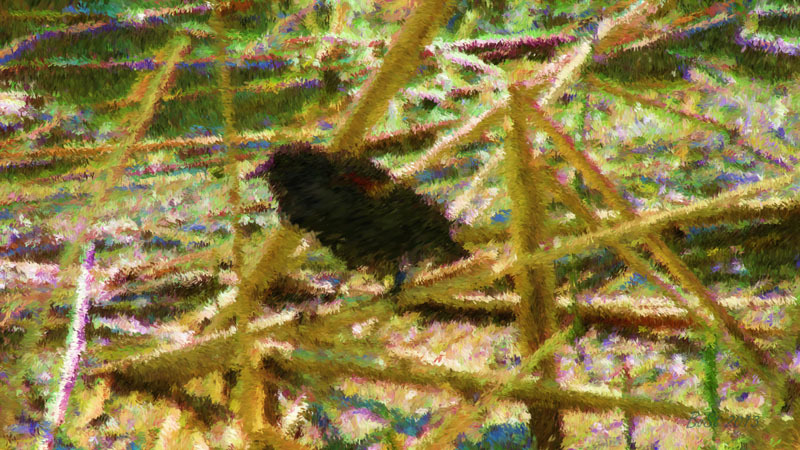 Taking long walks outside our eyes eagerly search for any sign of tiny buds on the tree brunches and bushes, while observing the delightful Robin feasting on insects crawling on the ground. 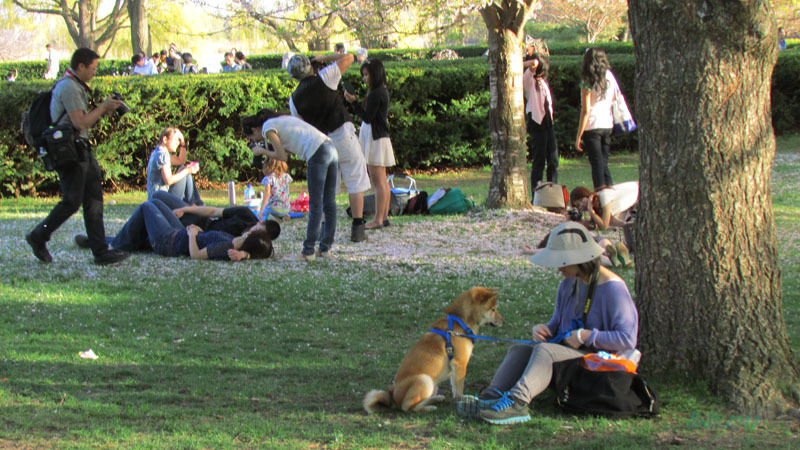 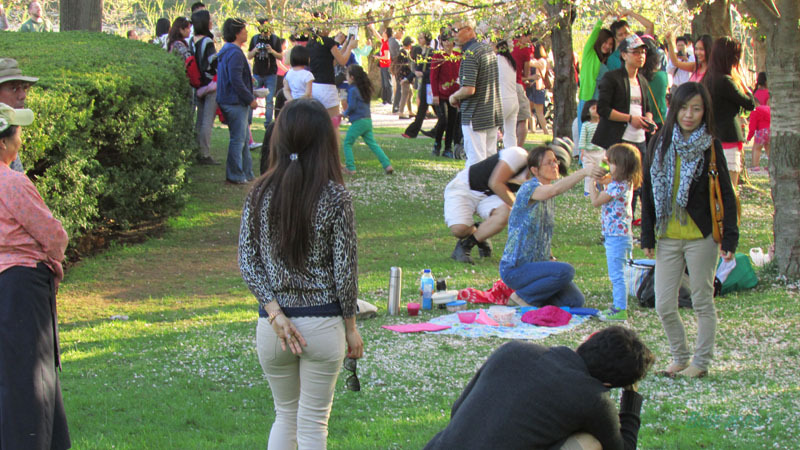 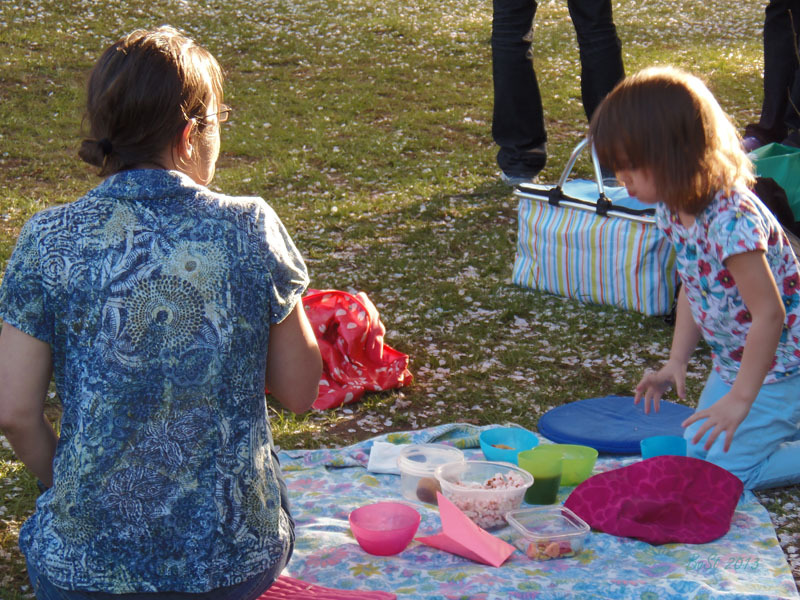 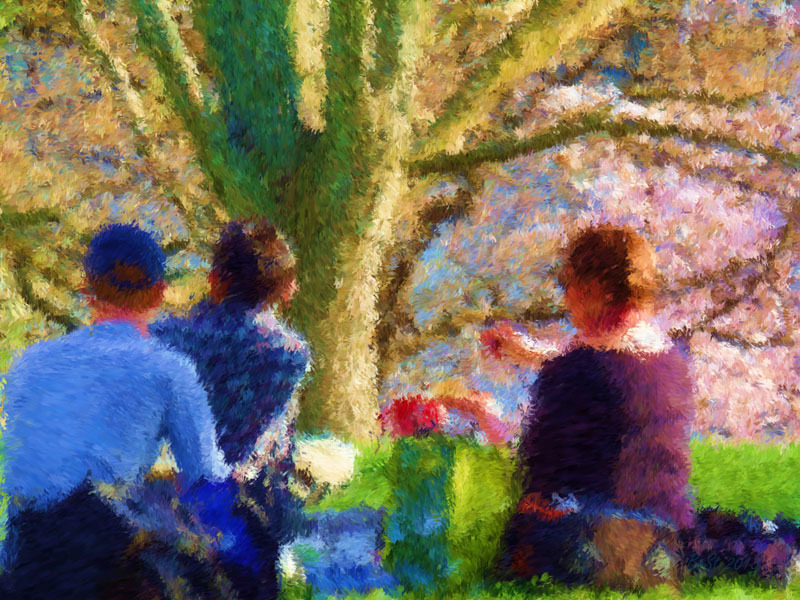 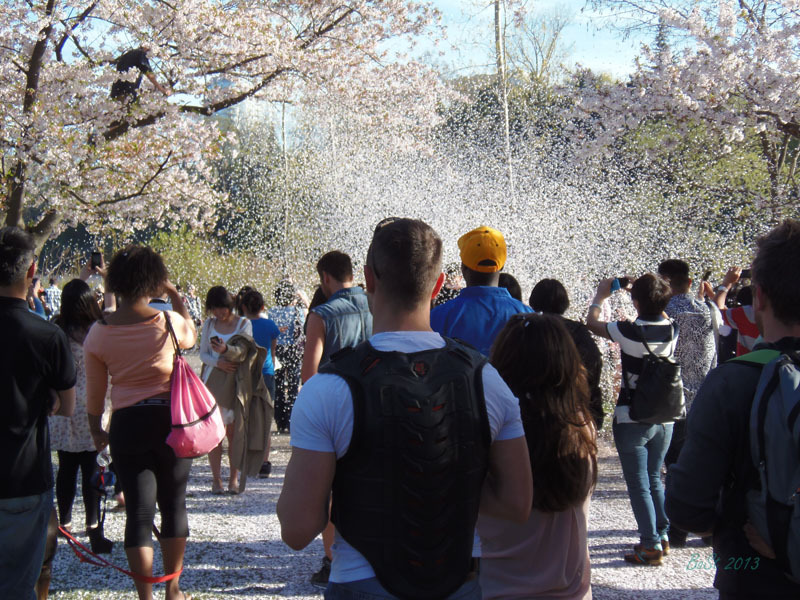 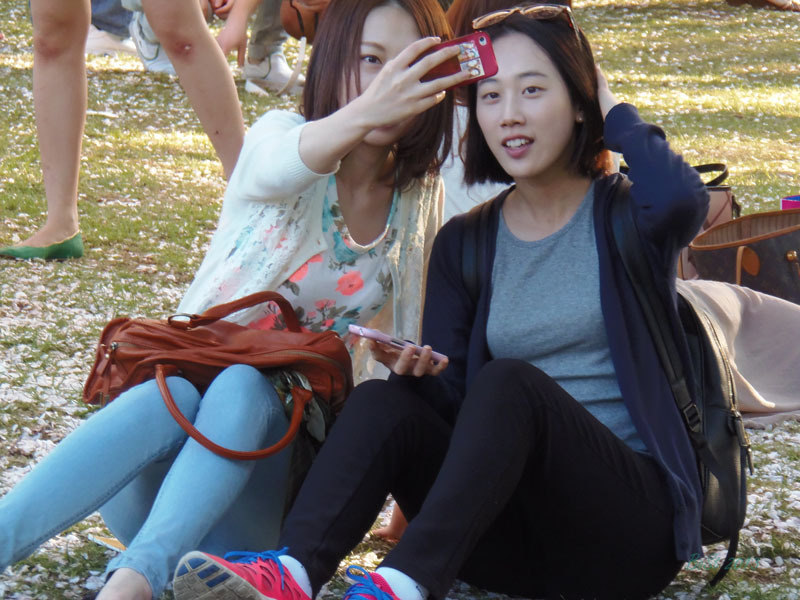 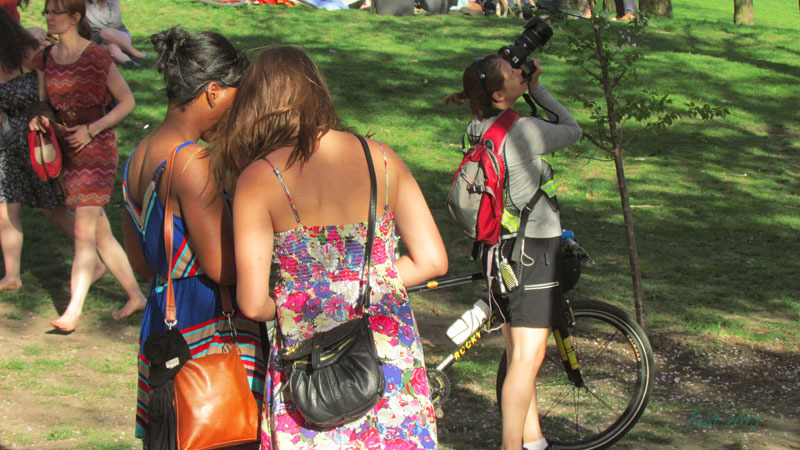 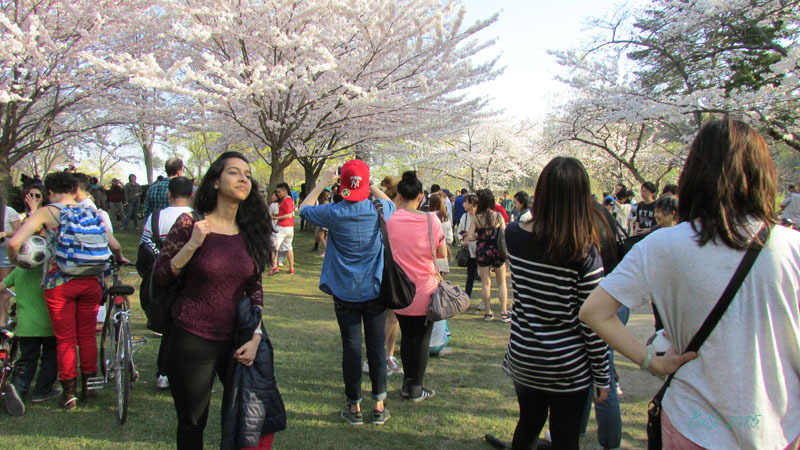 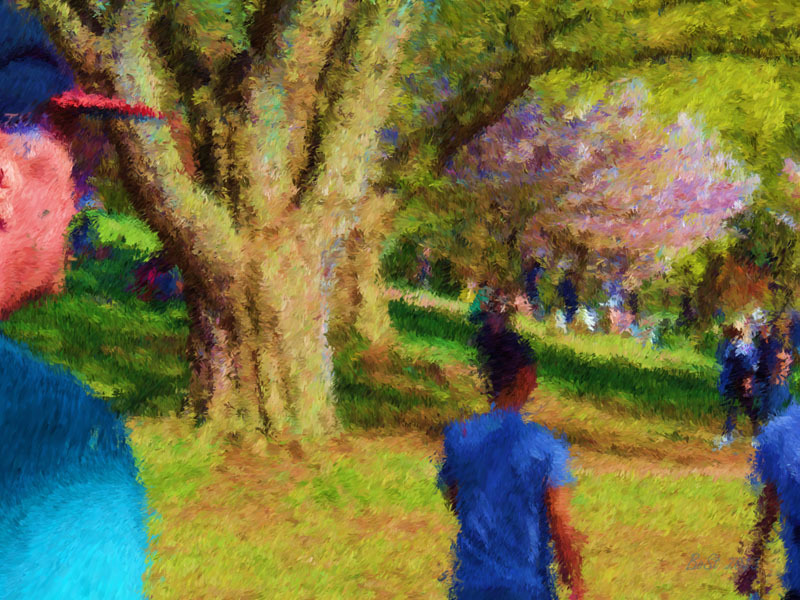 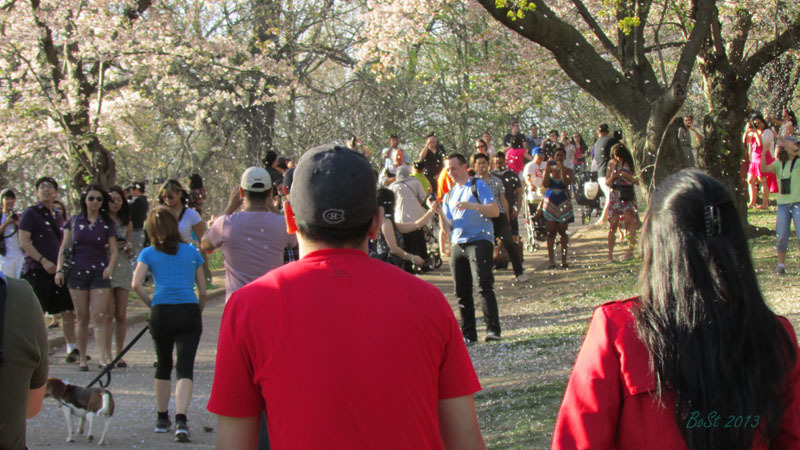 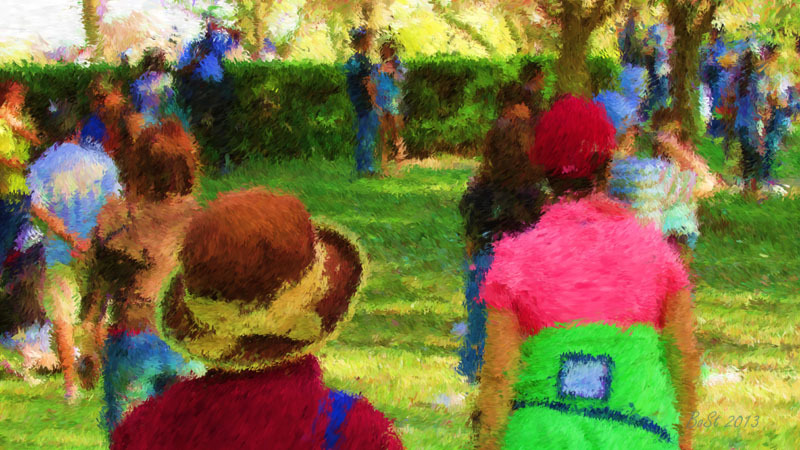 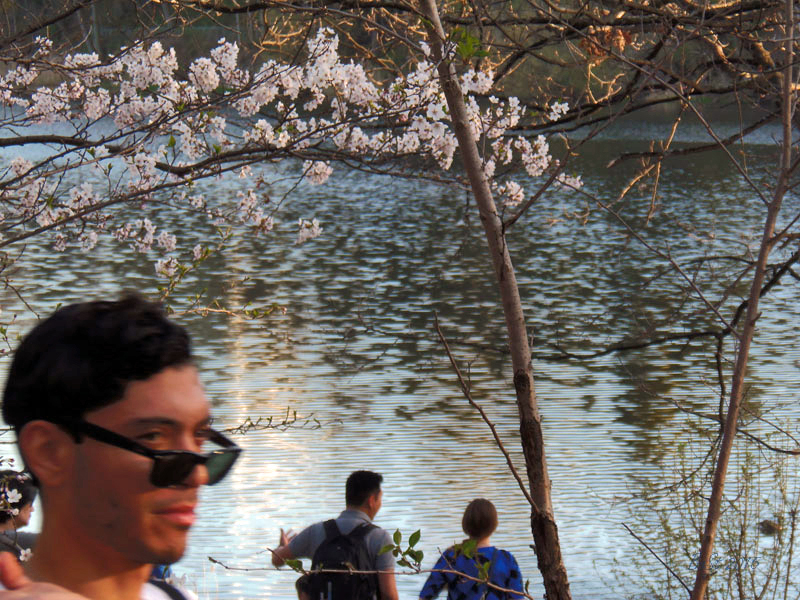 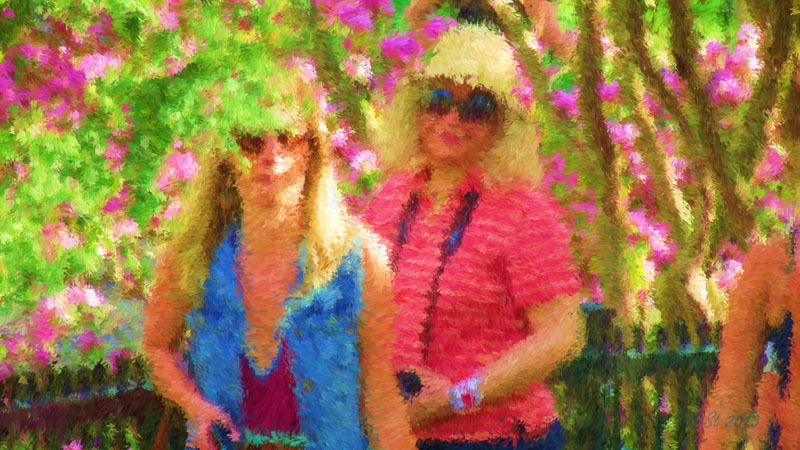 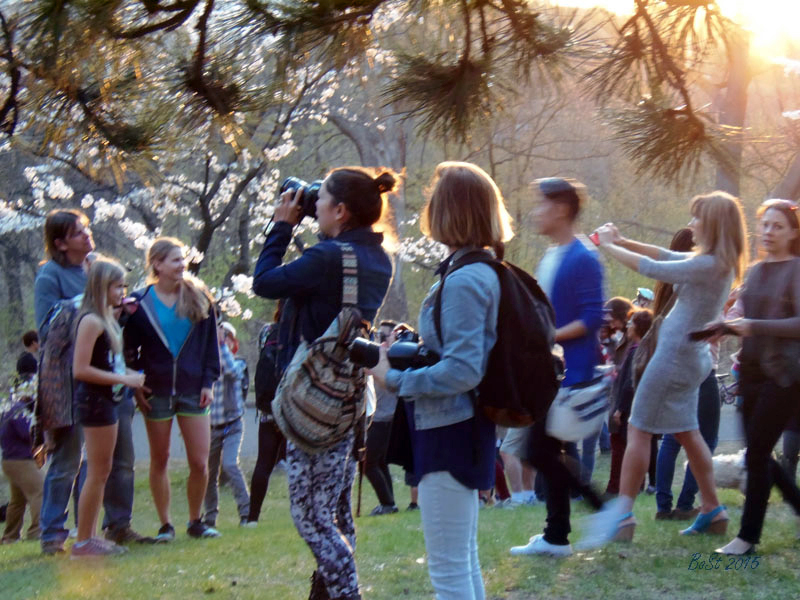 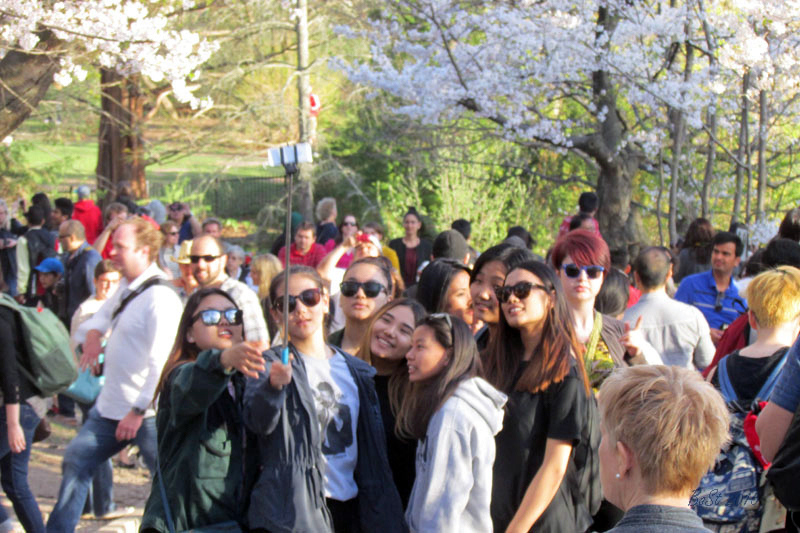 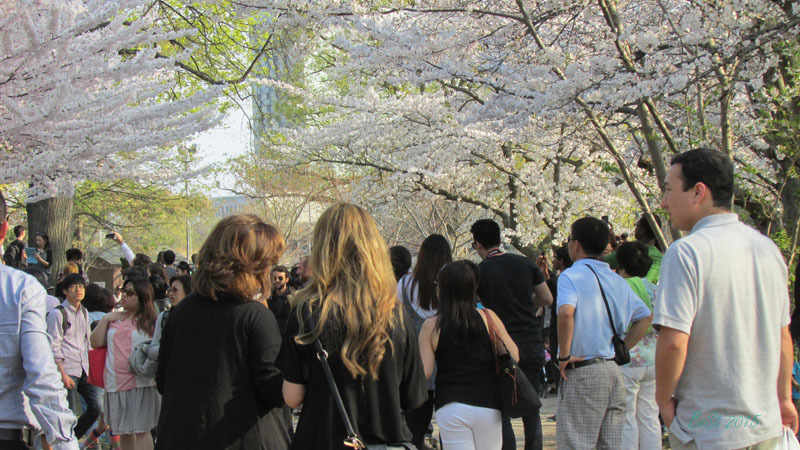 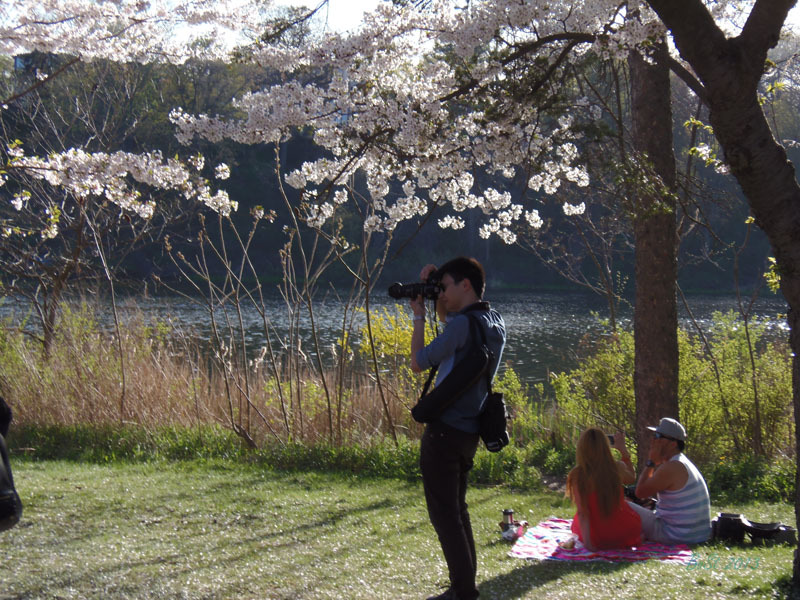 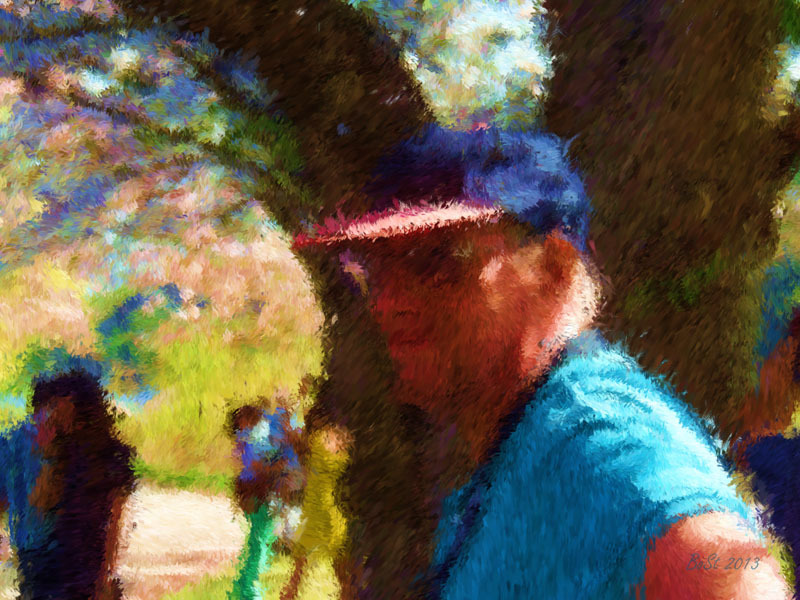 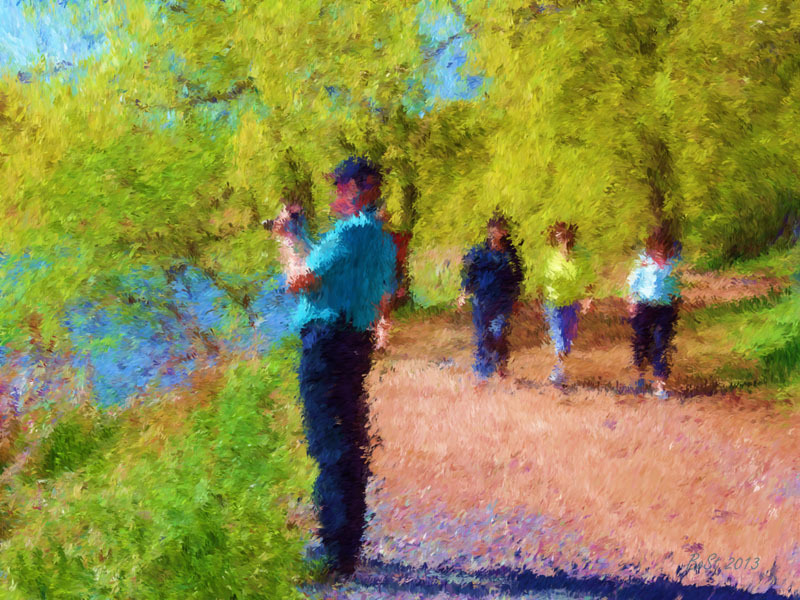 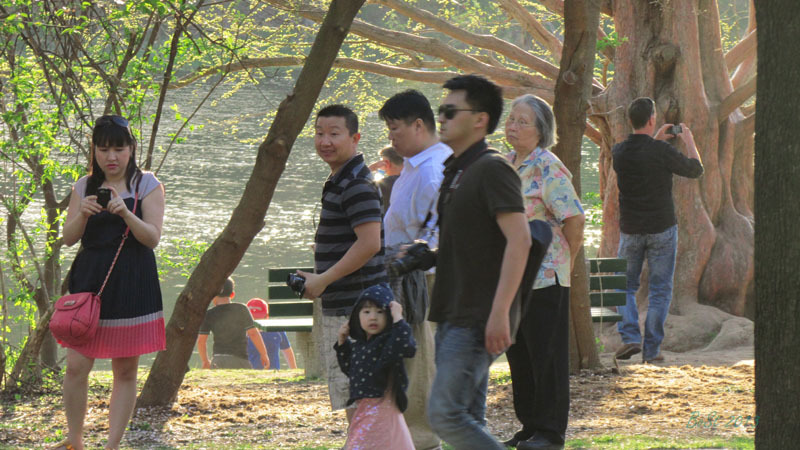 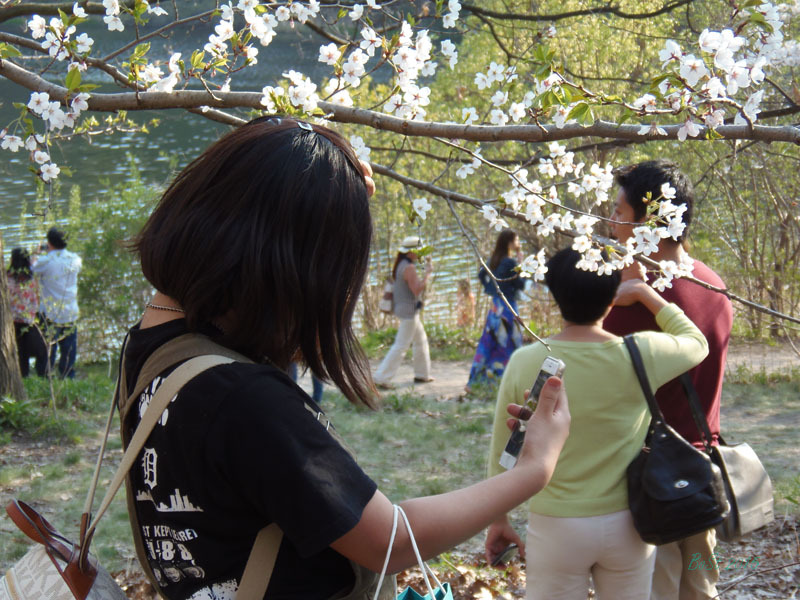 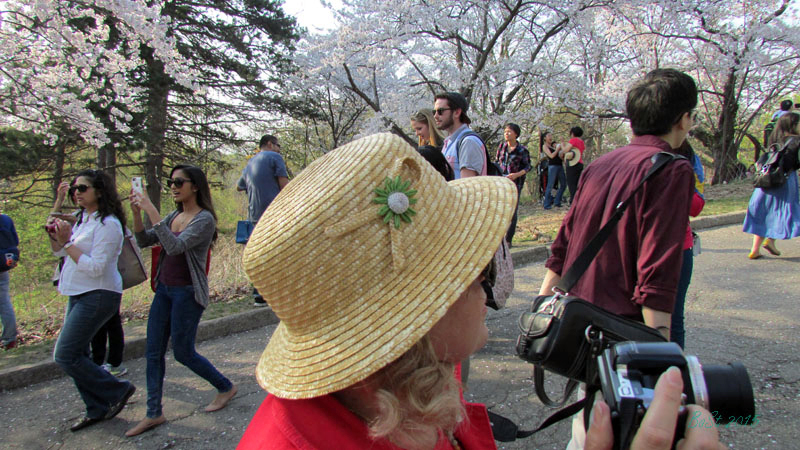 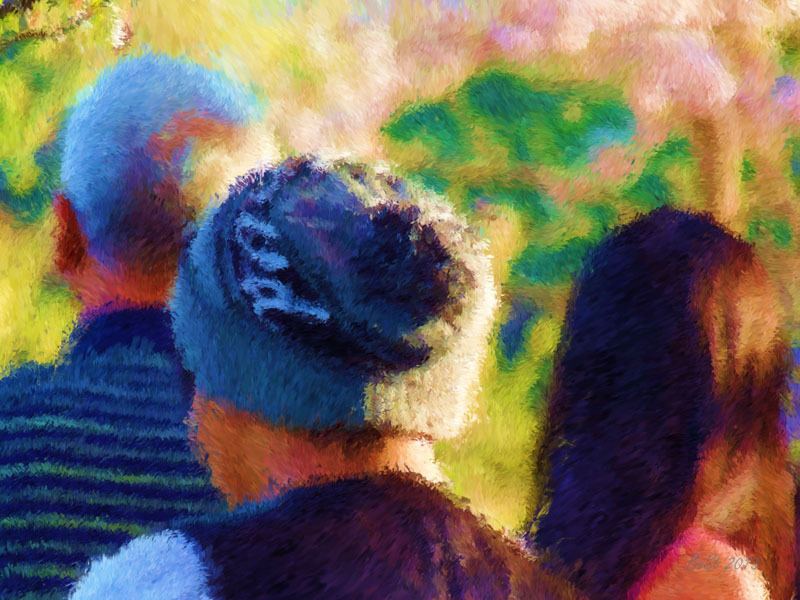 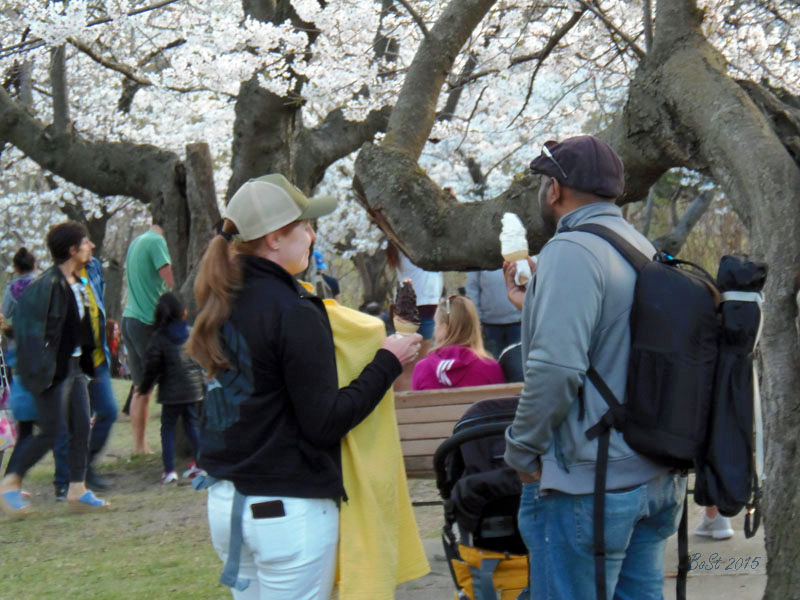 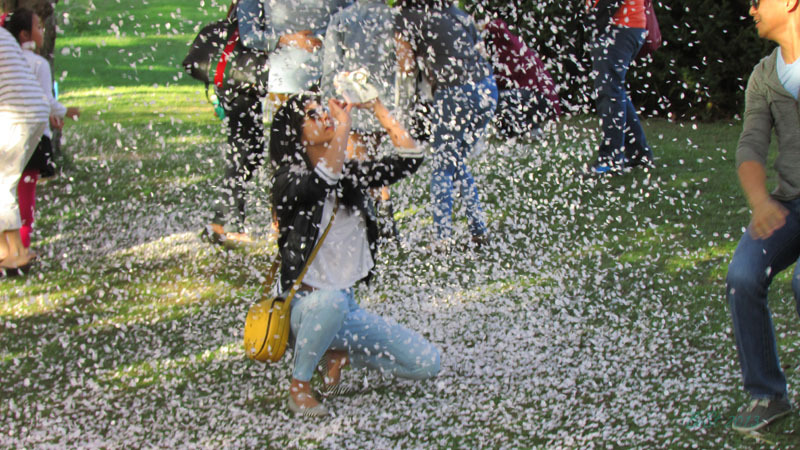 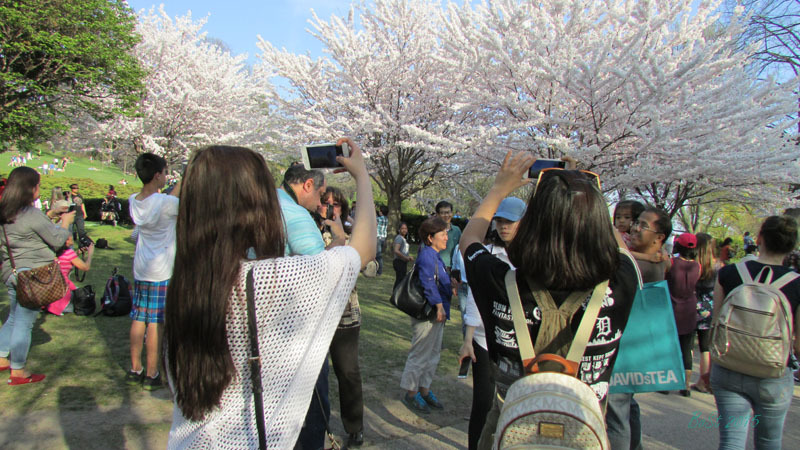 Then, before long, there is a buzz of excitement in the air and, armed with cameras, hats and refreshments we hasten to the parks to witness the first emerging blossoms. 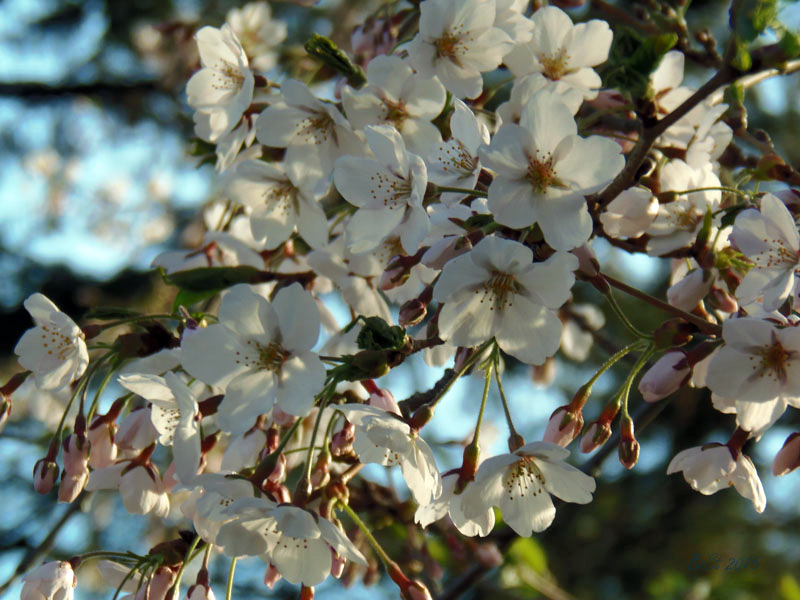 Our soul unfailingly soars in pure delight feasting at those brilliant blossoms, of which the Sakura Cherry trees enjoy the first honour. 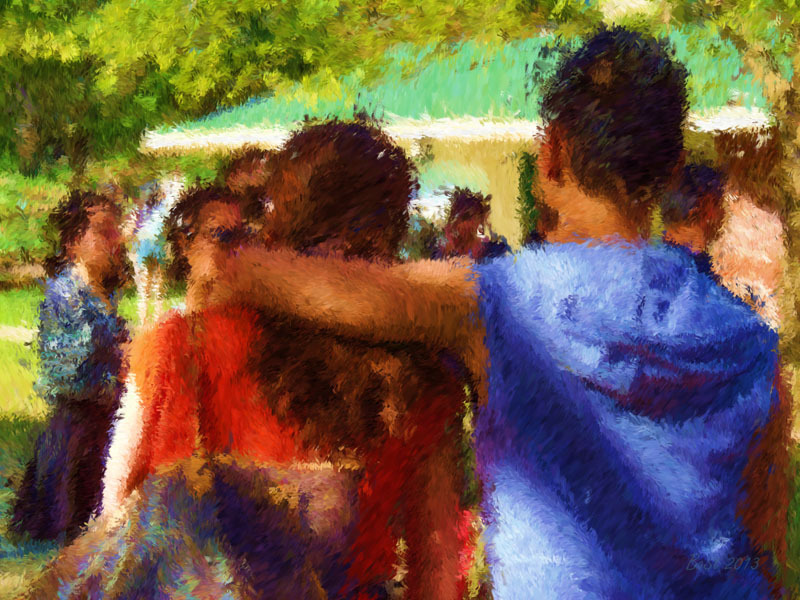 Regardless of race or creed for that one instant we are one. 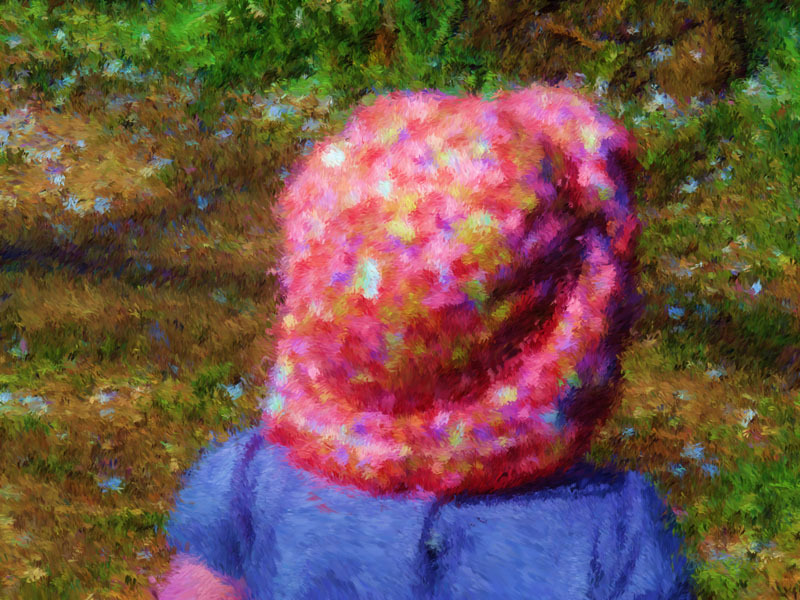 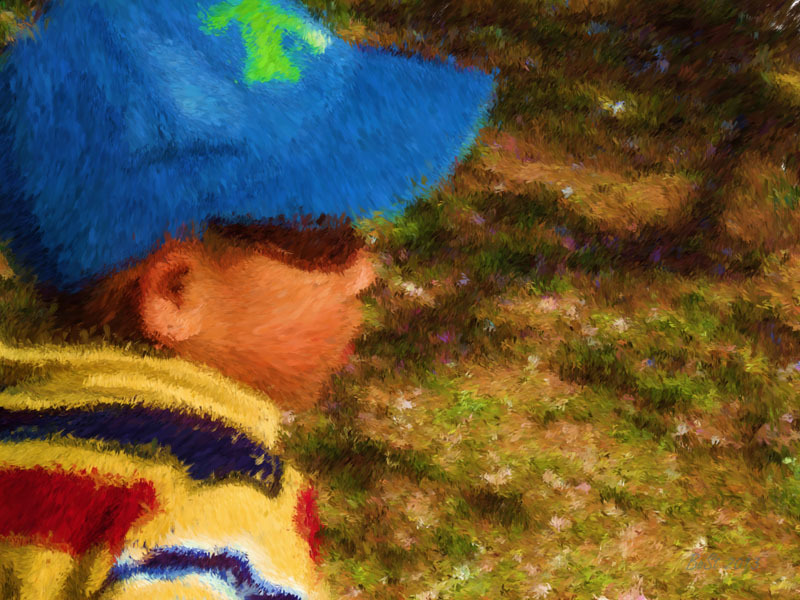 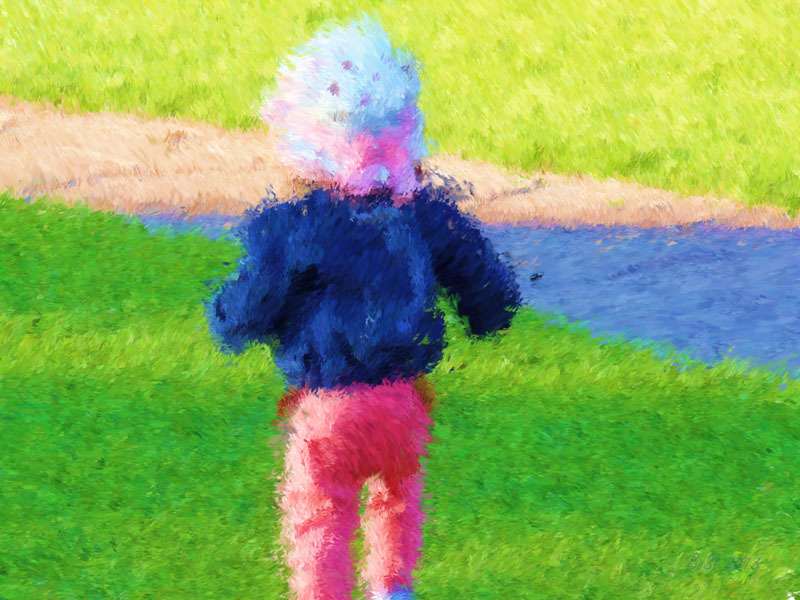 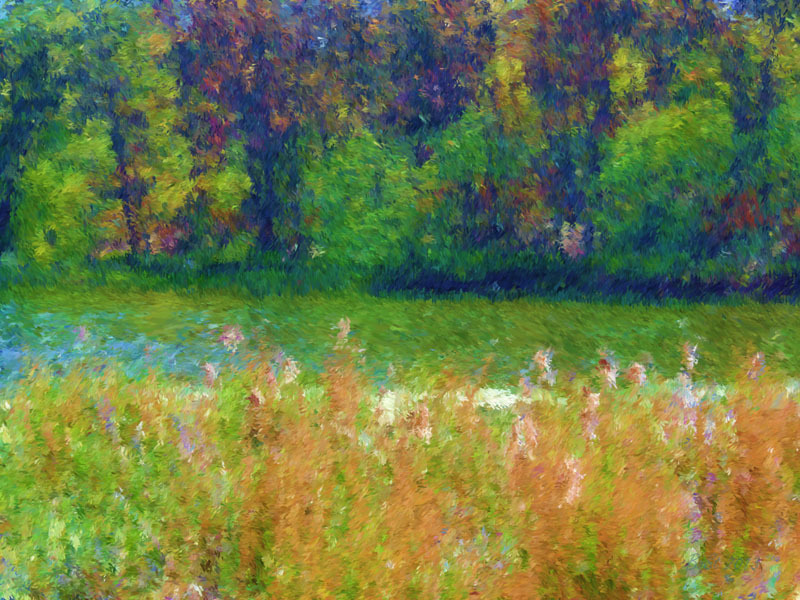 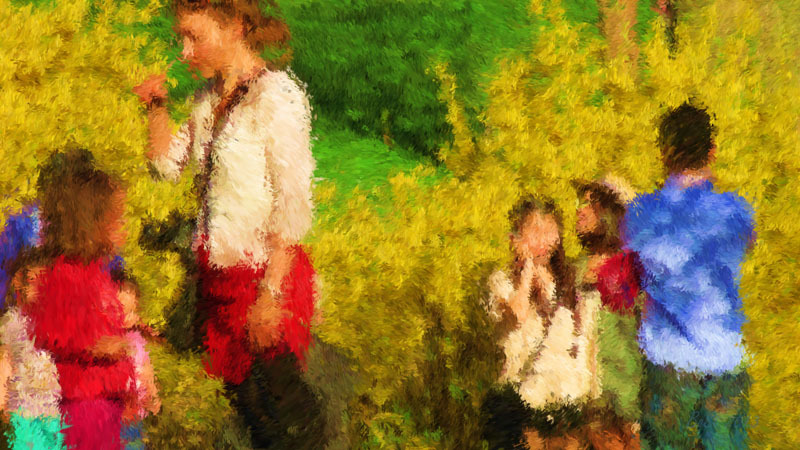 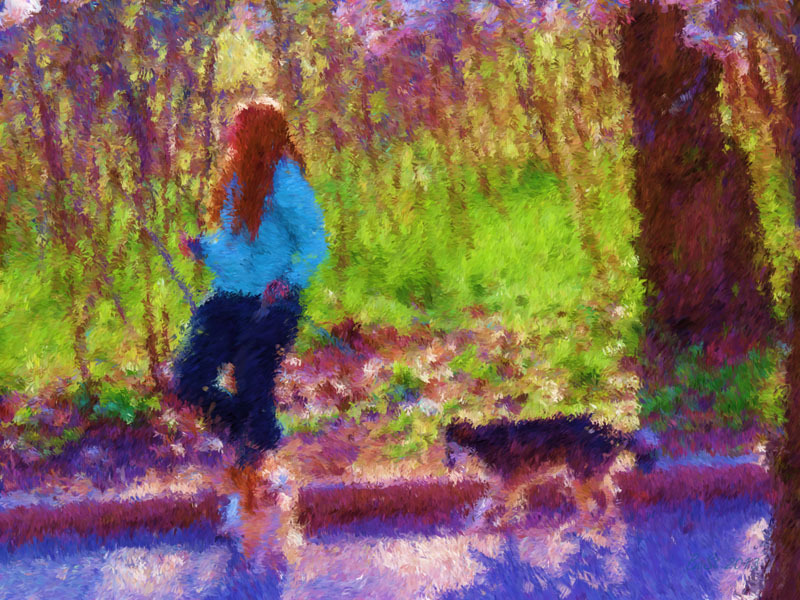 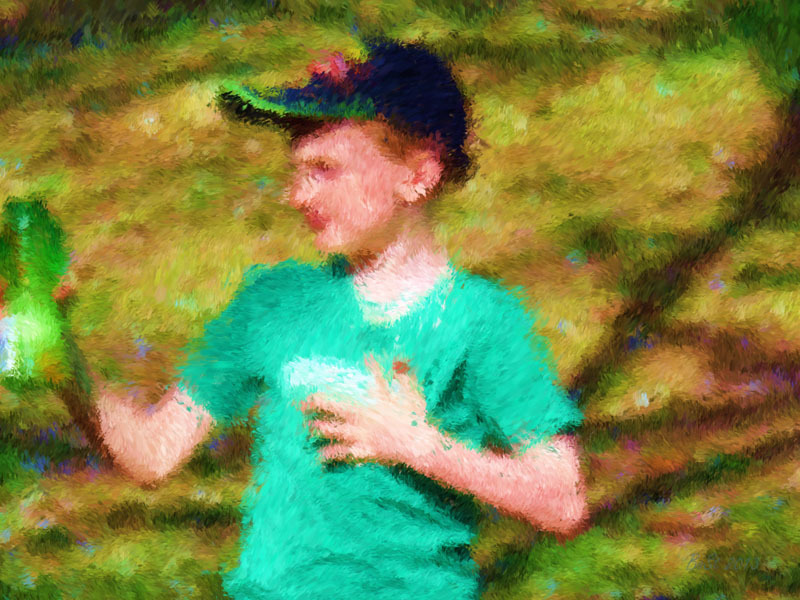 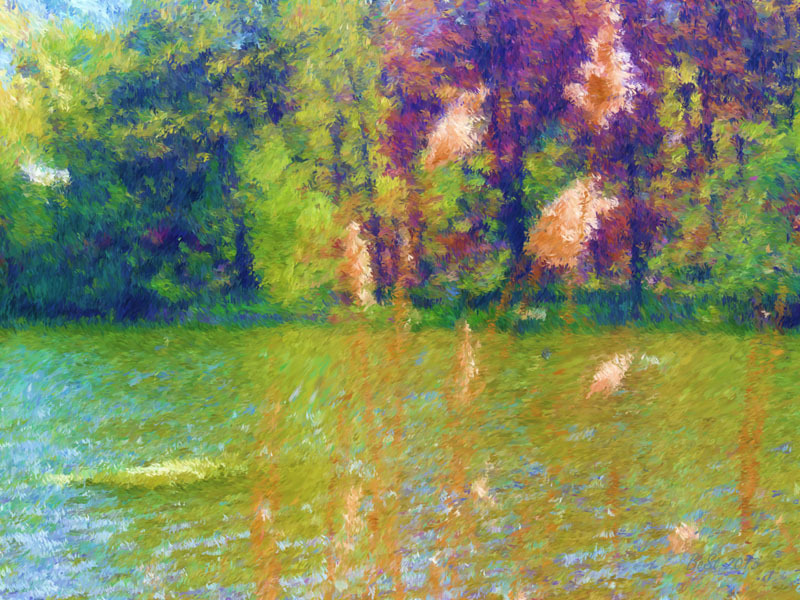 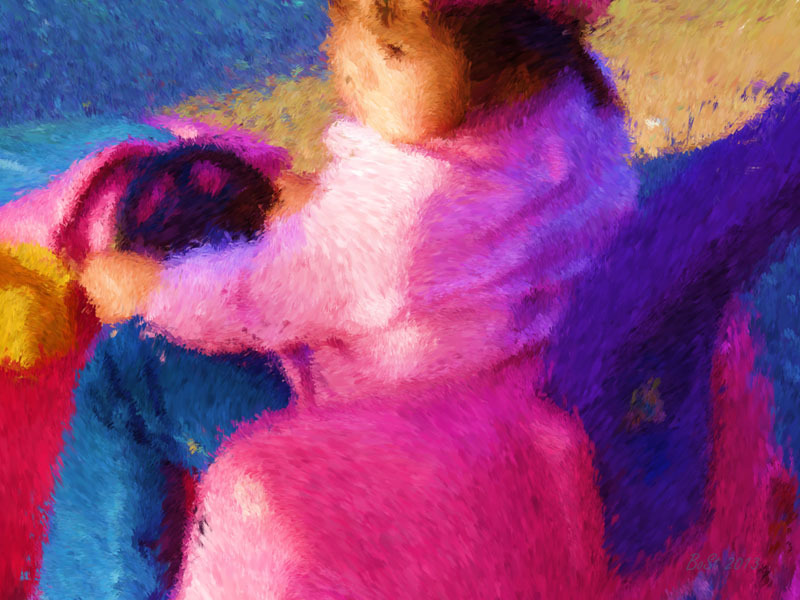 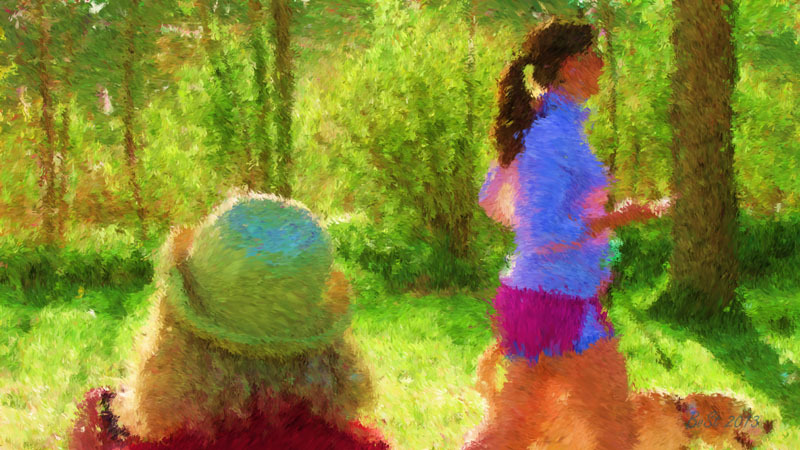 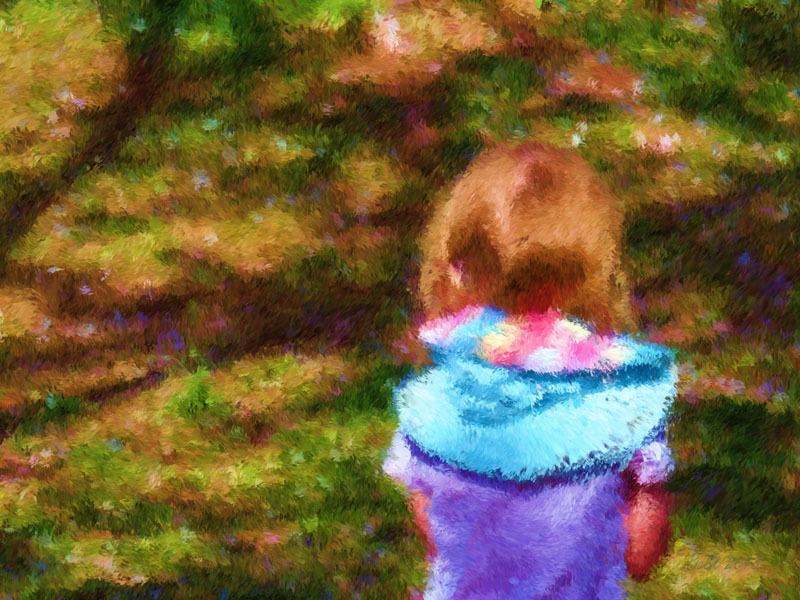 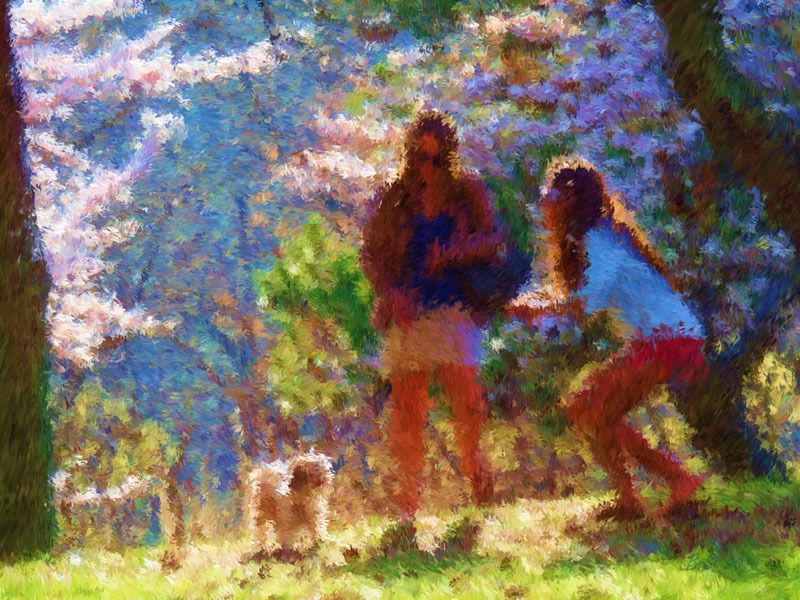 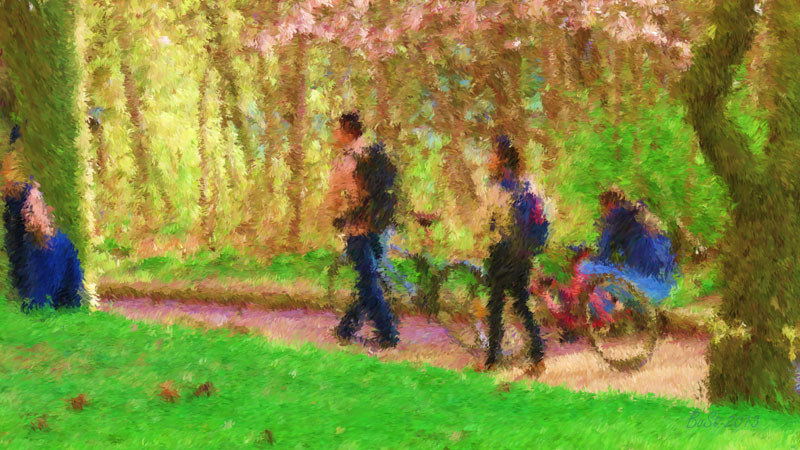 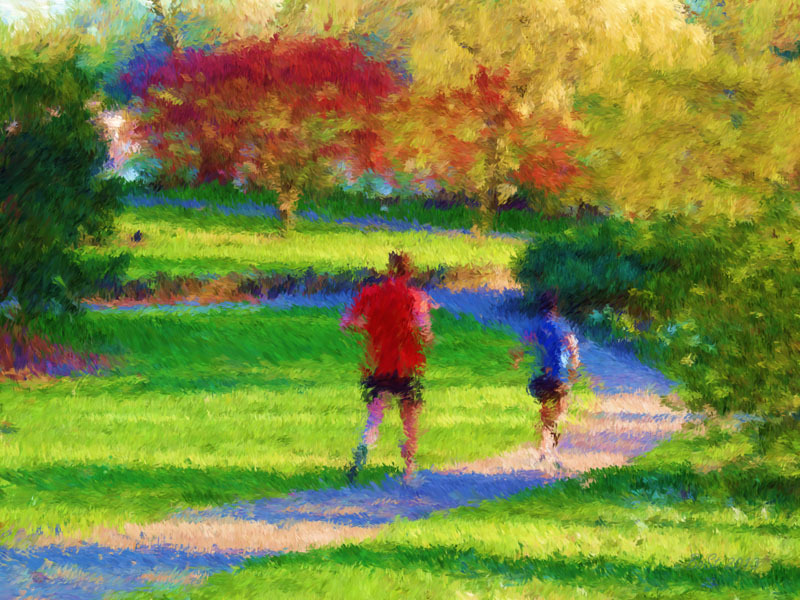 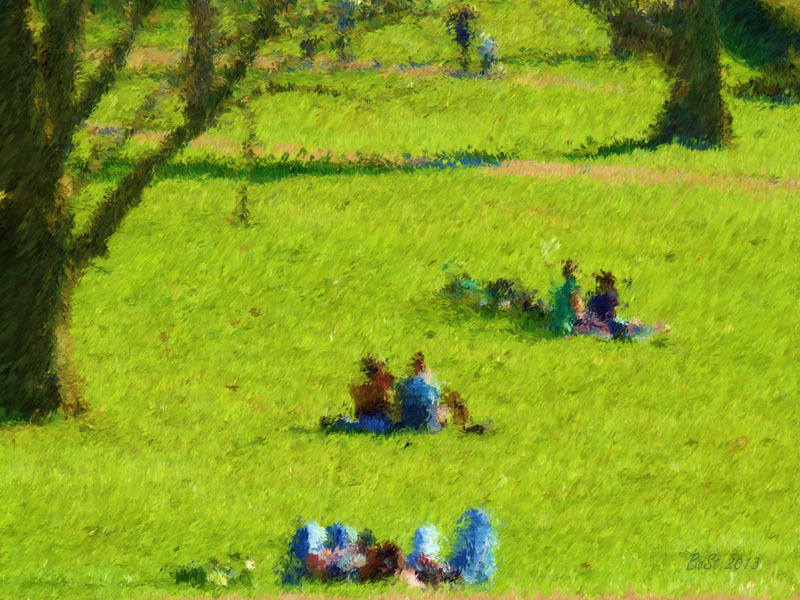 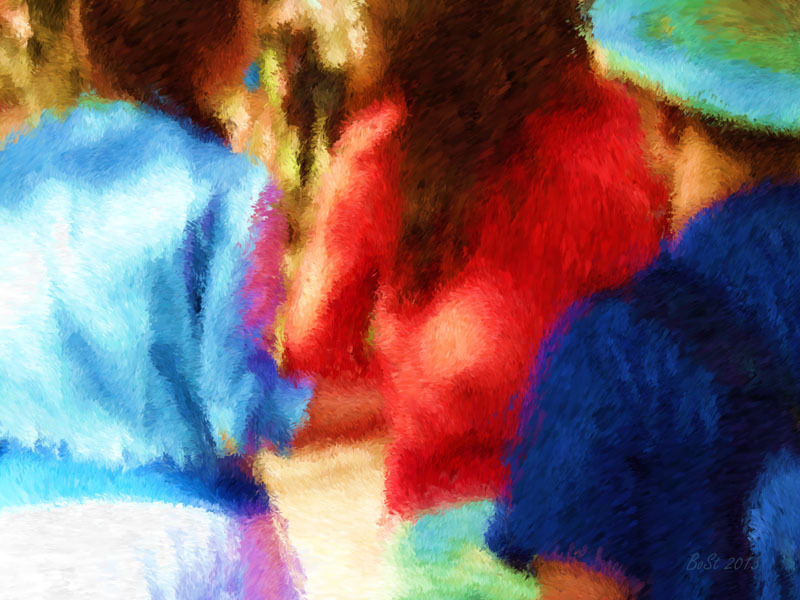 All of us, young and old, are just delighted children of nature, enjoying nature’s bounty. 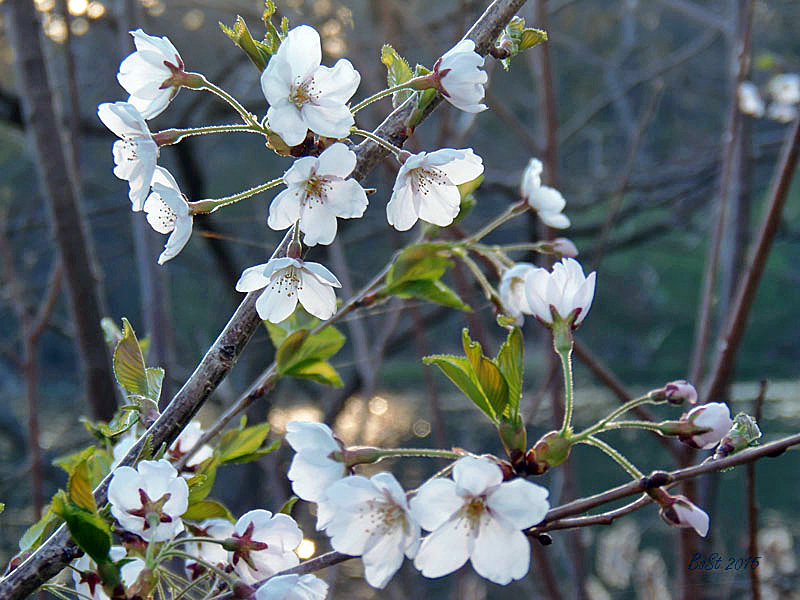 Other blossoms will soon catch up… and we joyfully look forward to those bonny days ahead when the air gets filled with nature’s intoxicating perfume. 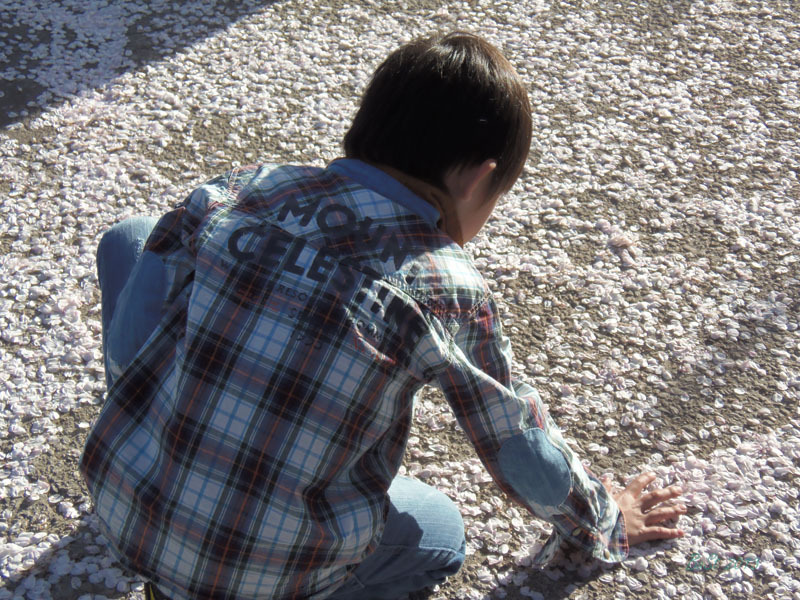 Will it return to my body? 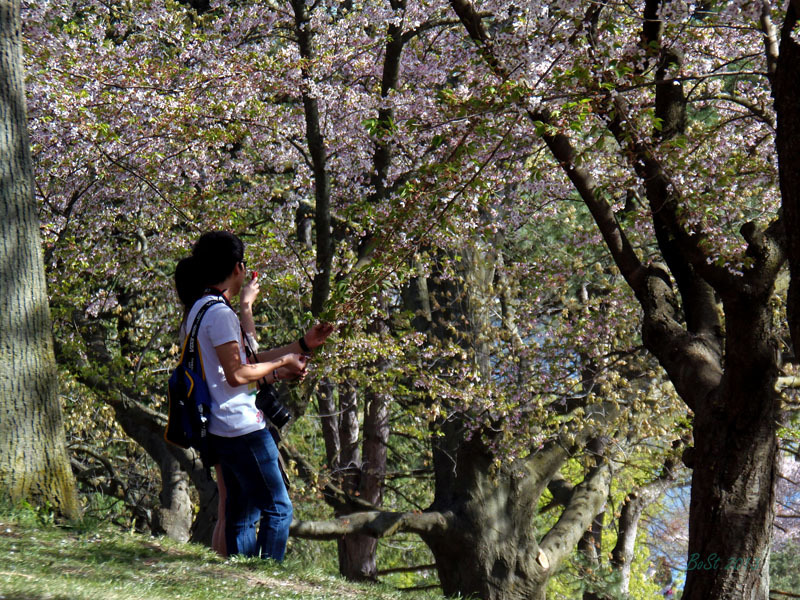 Somei-Yoshino Cherry Trees bloom early in High Park. 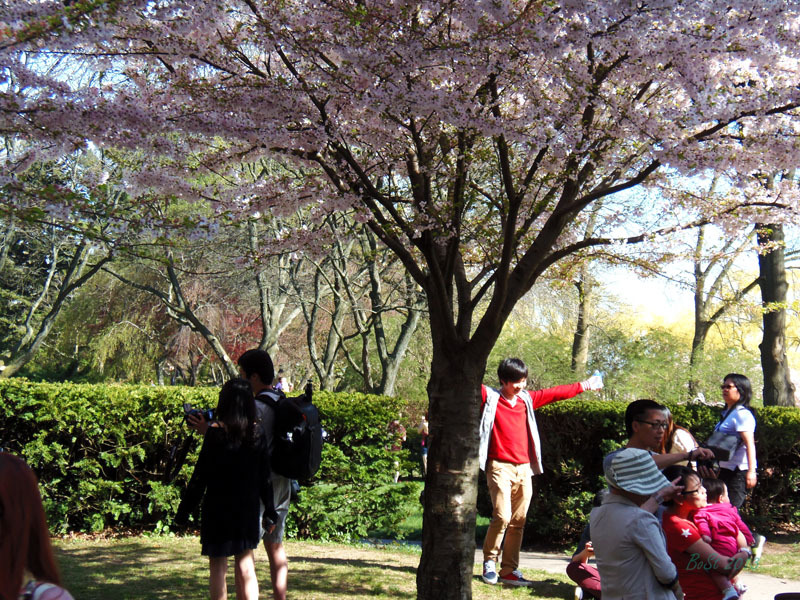 They were given to Toronto by Japan in 1959. 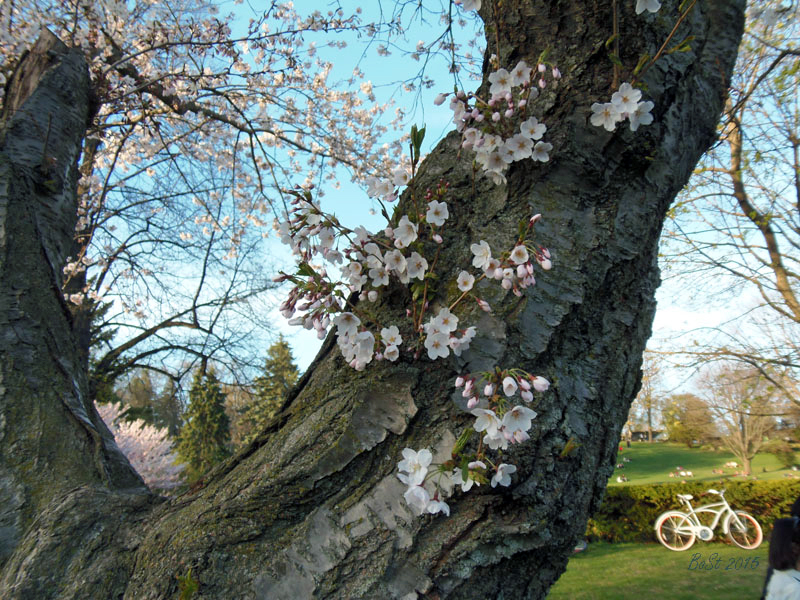 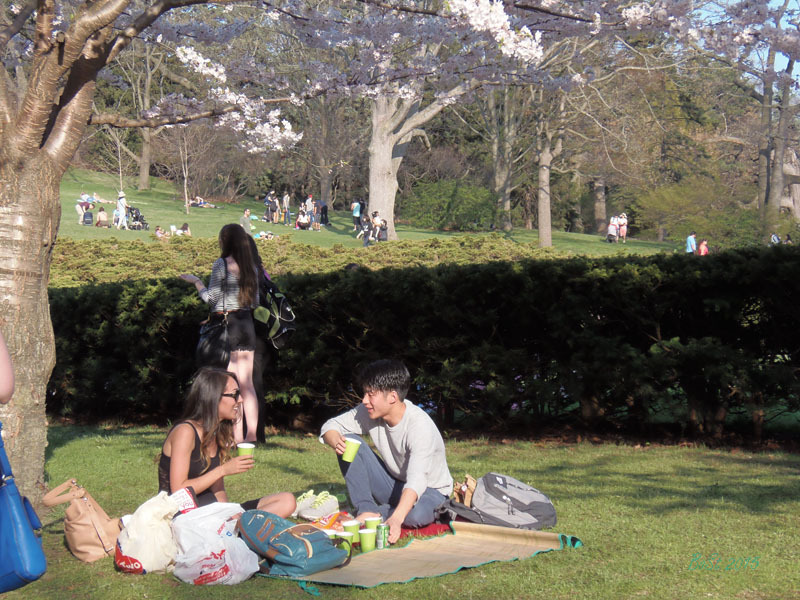 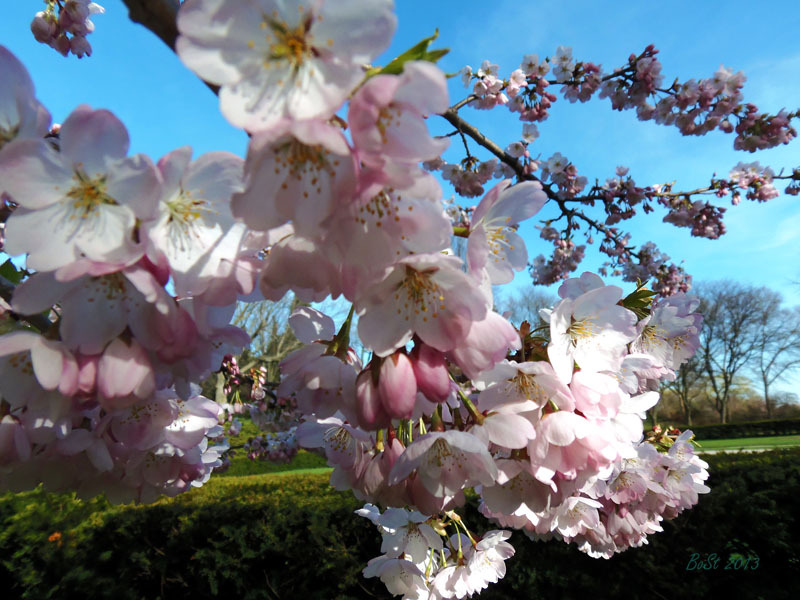 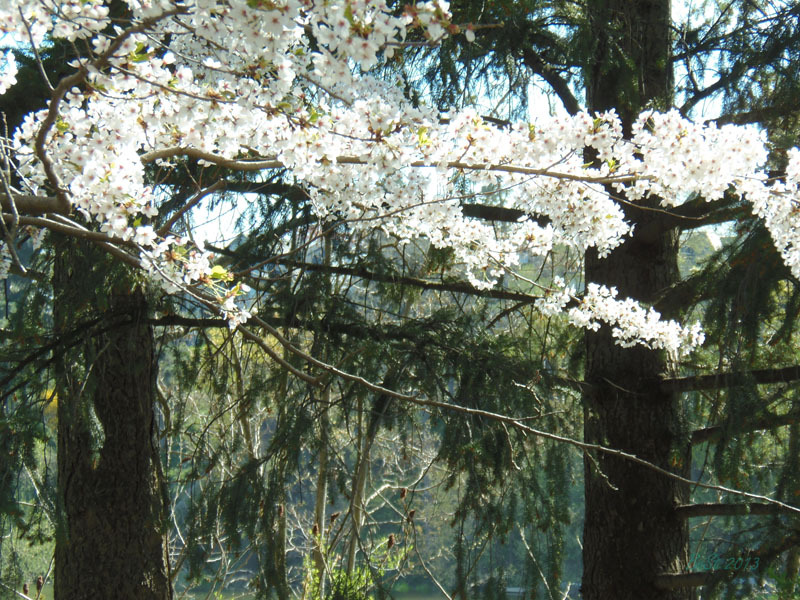 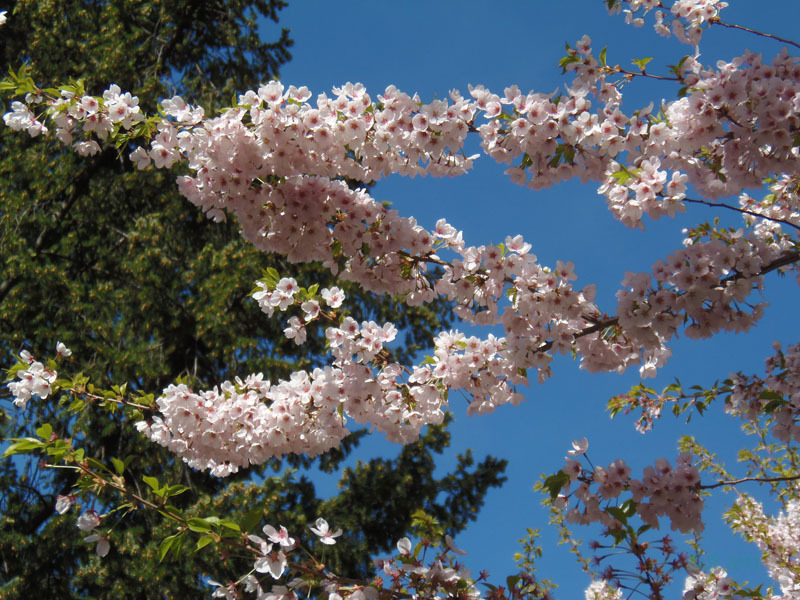 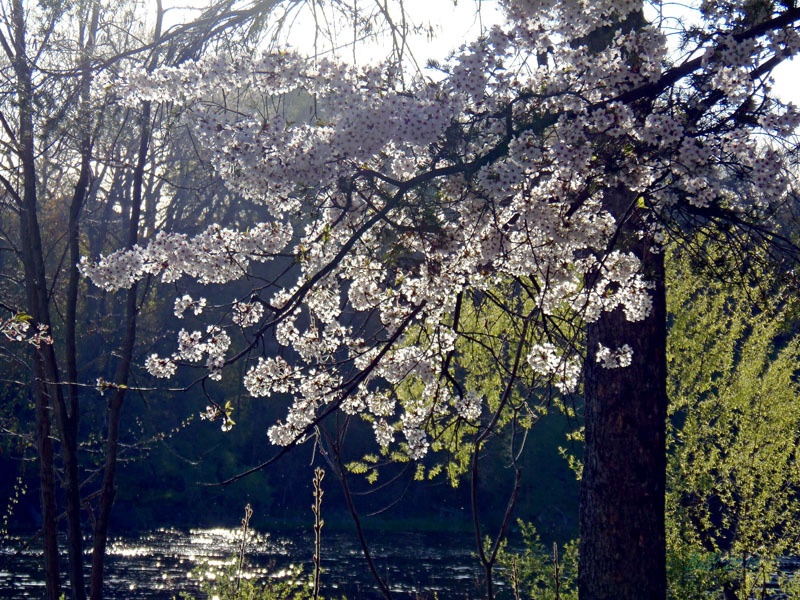 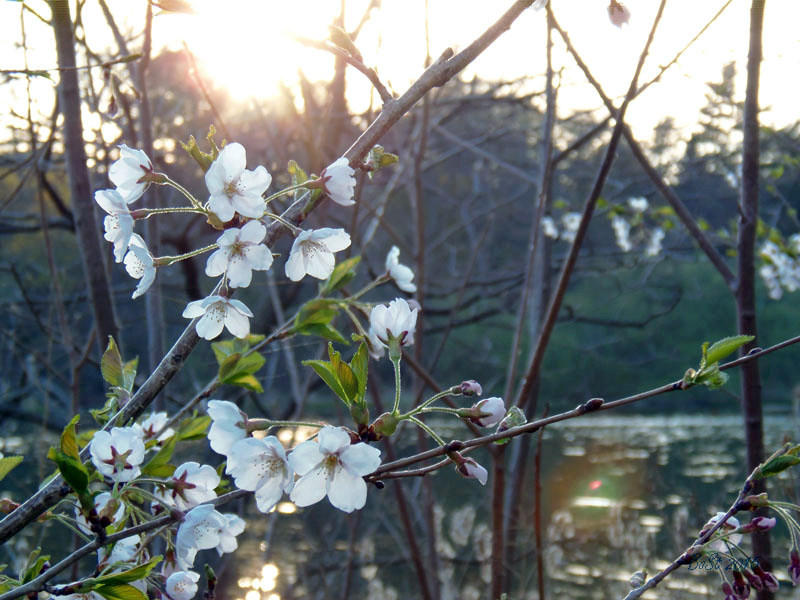 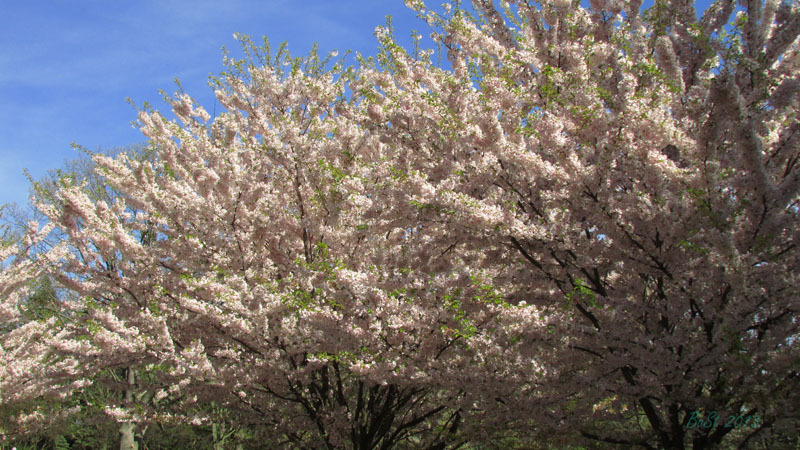 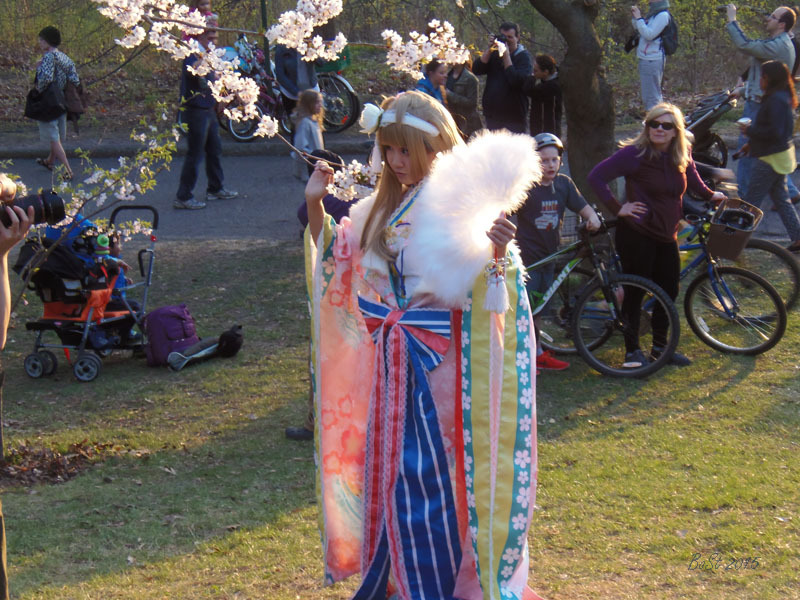 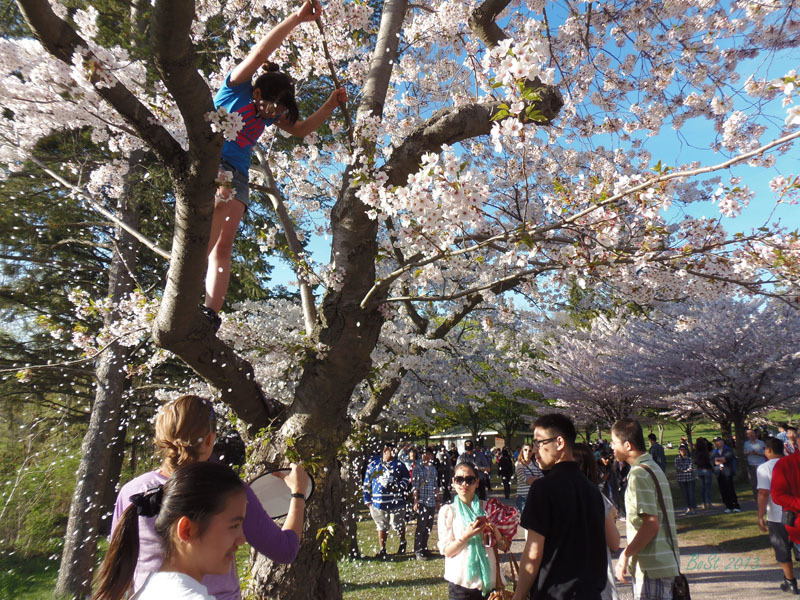 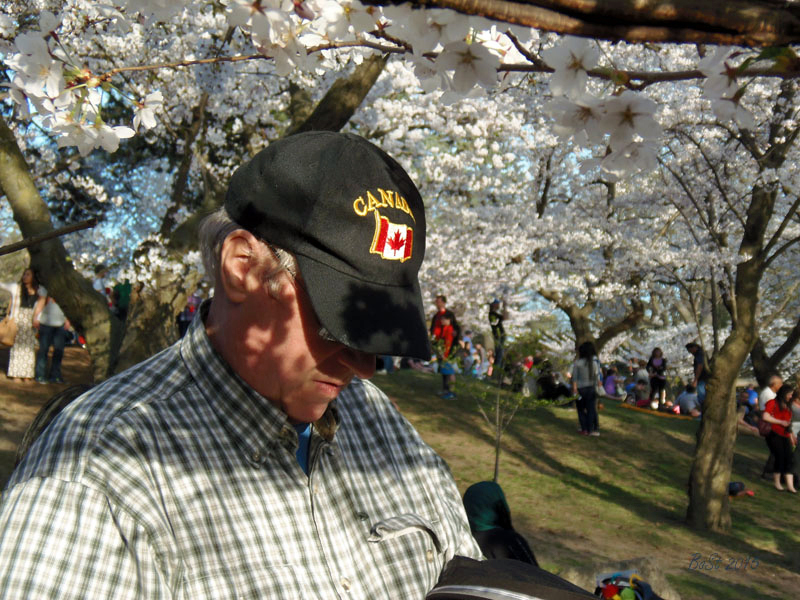 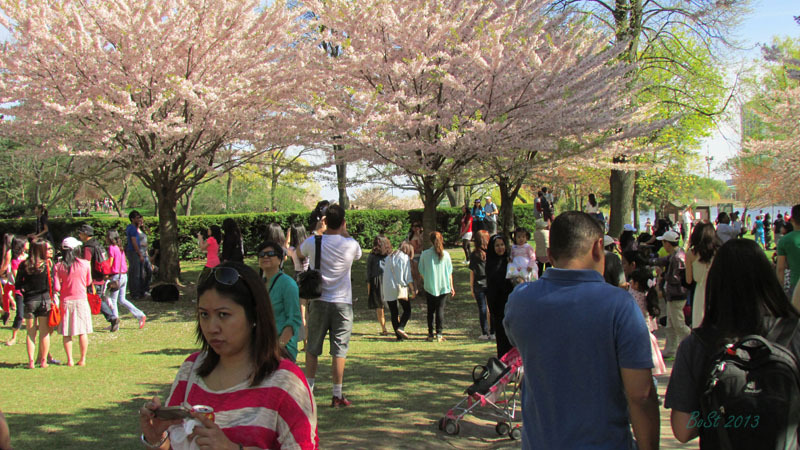 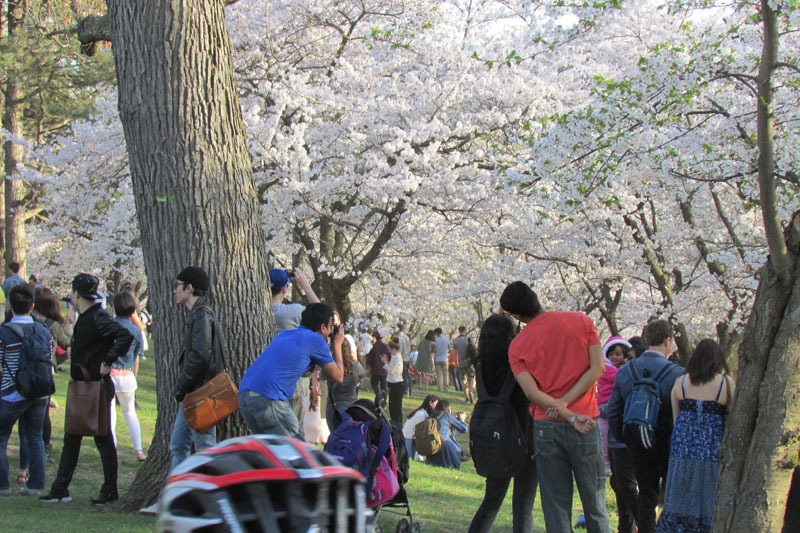 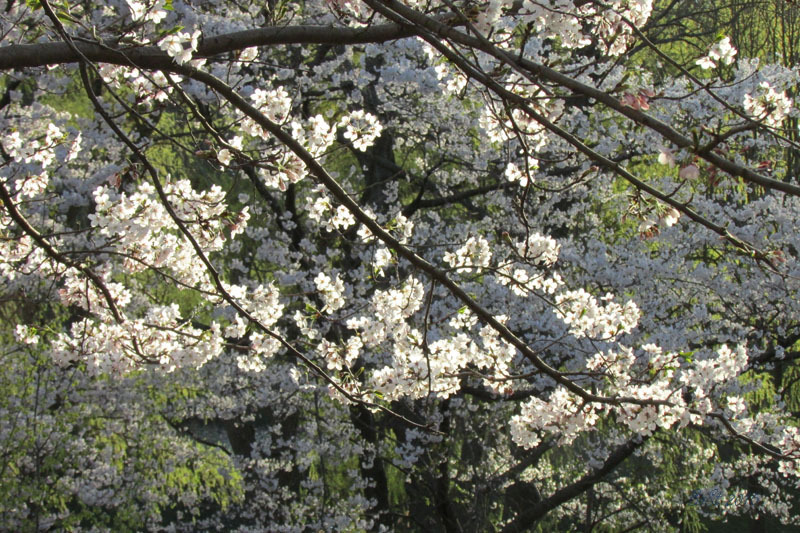 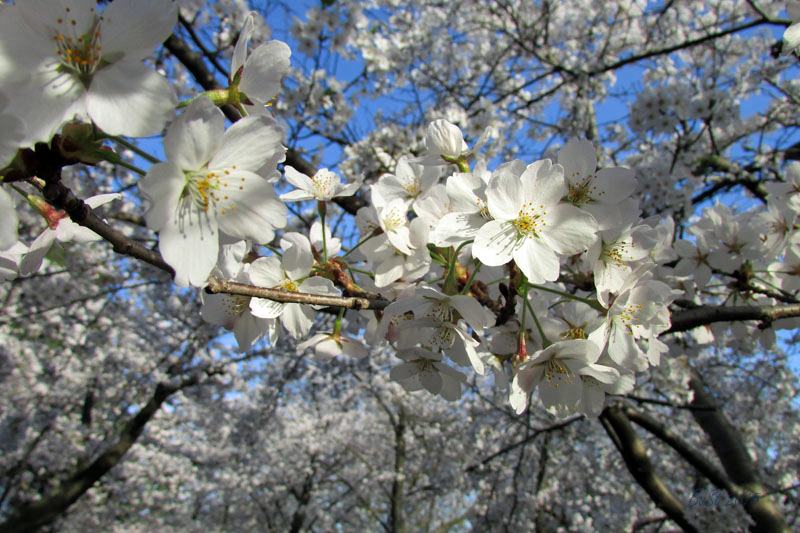 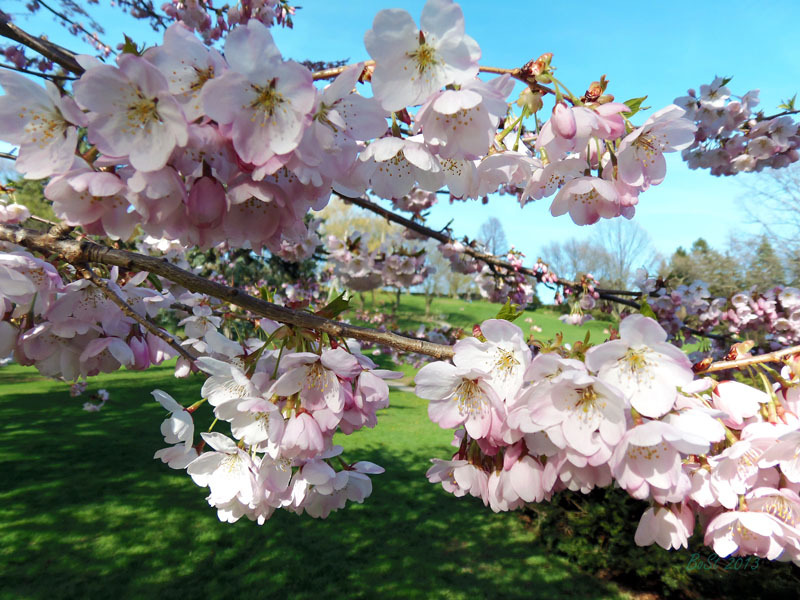 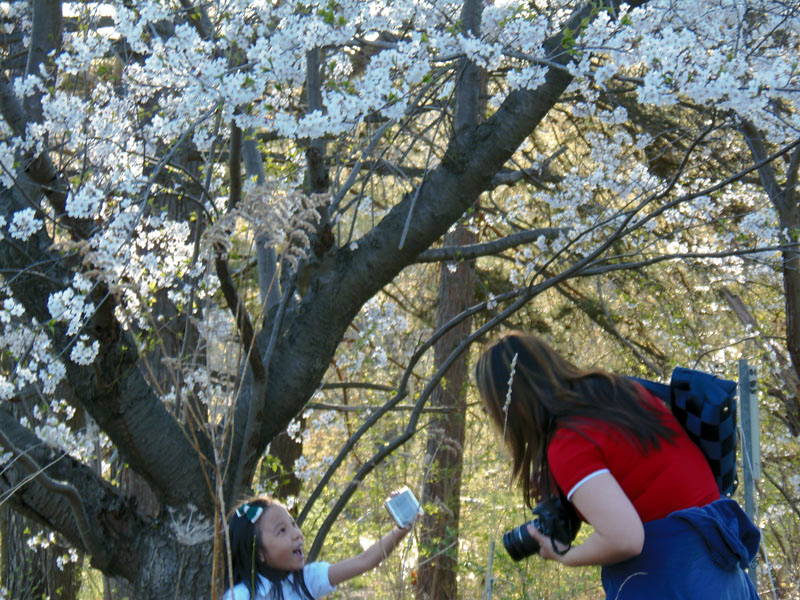 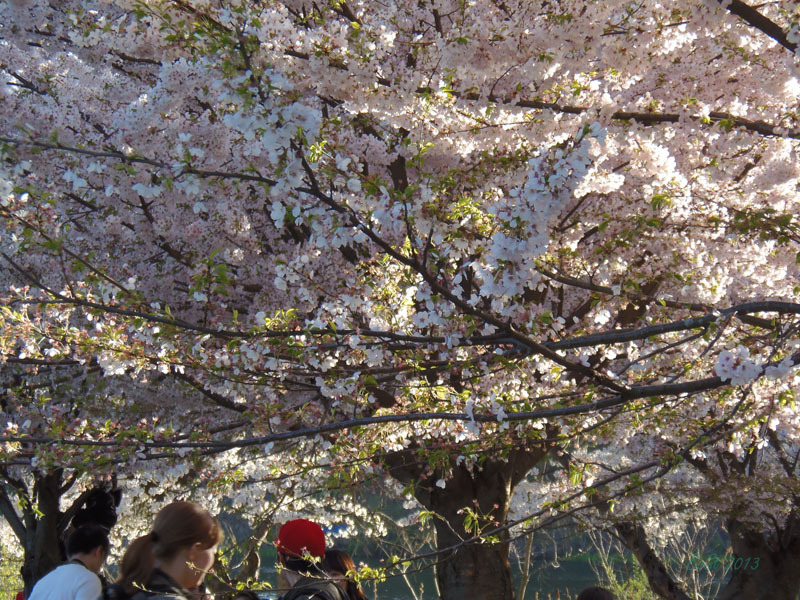 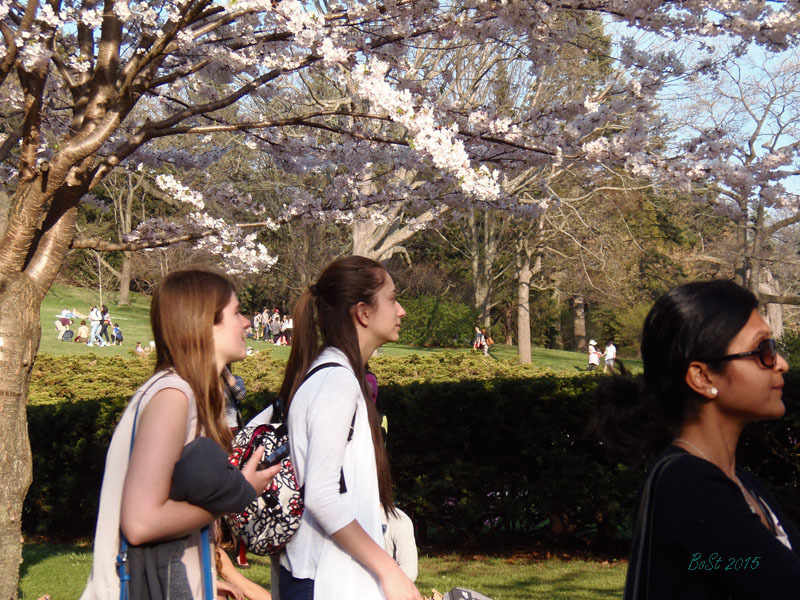 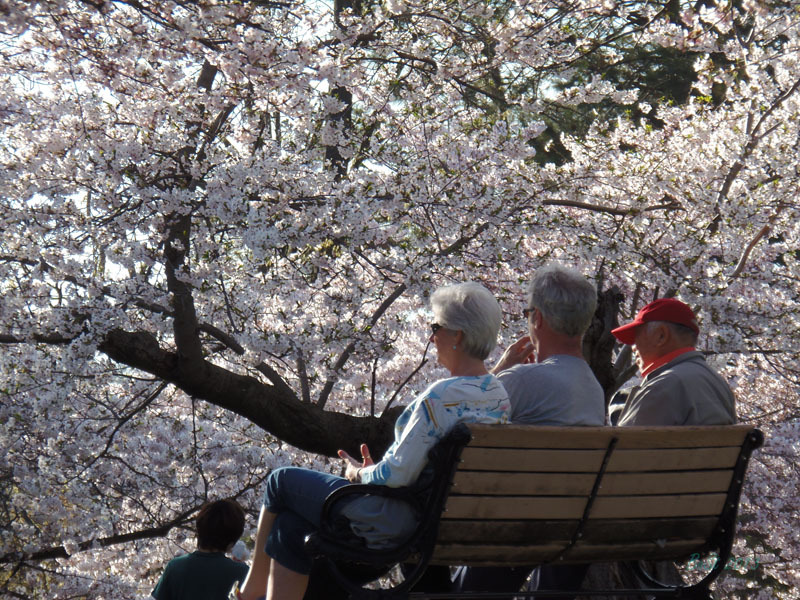 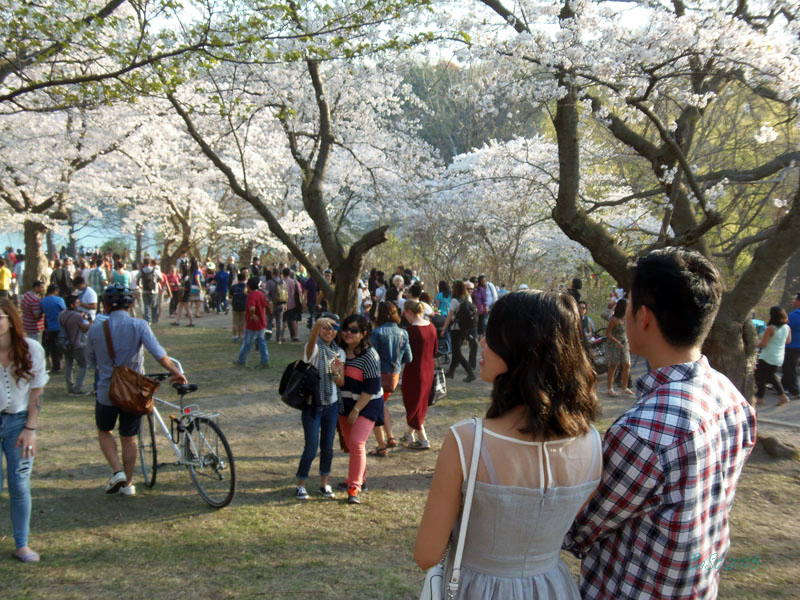 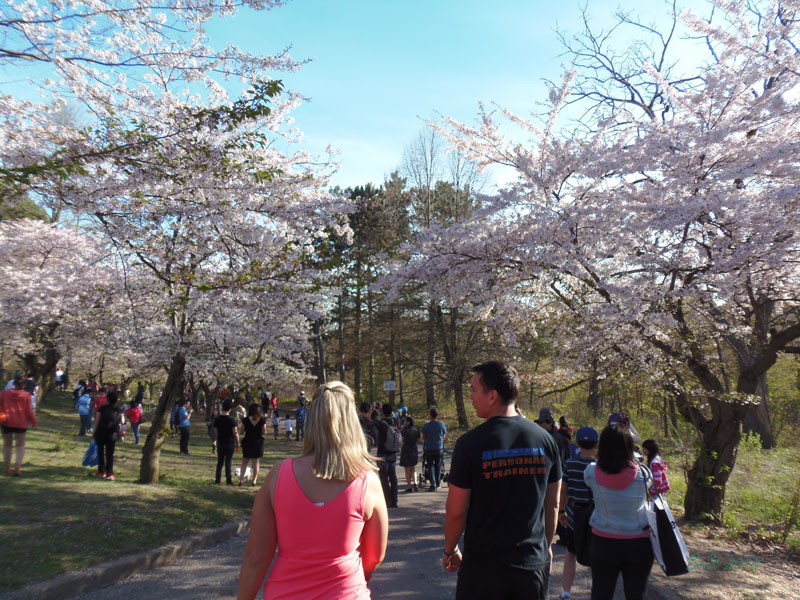 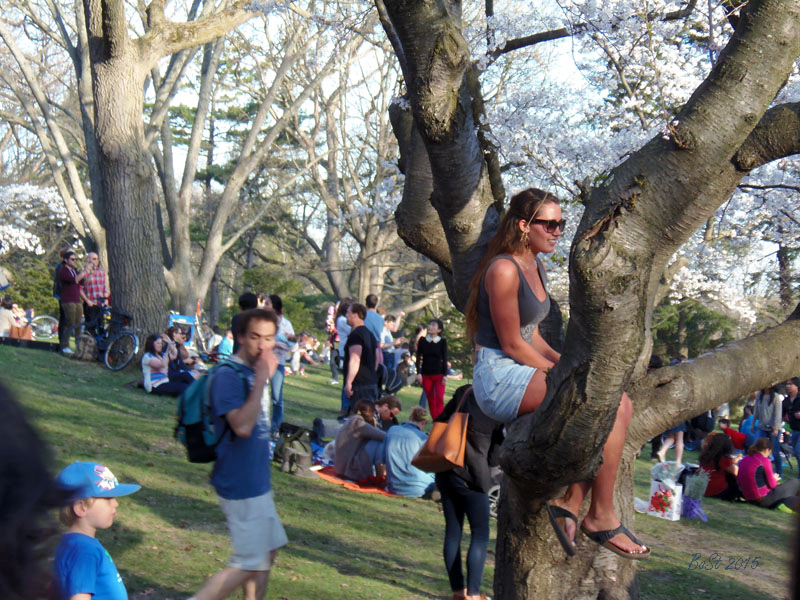 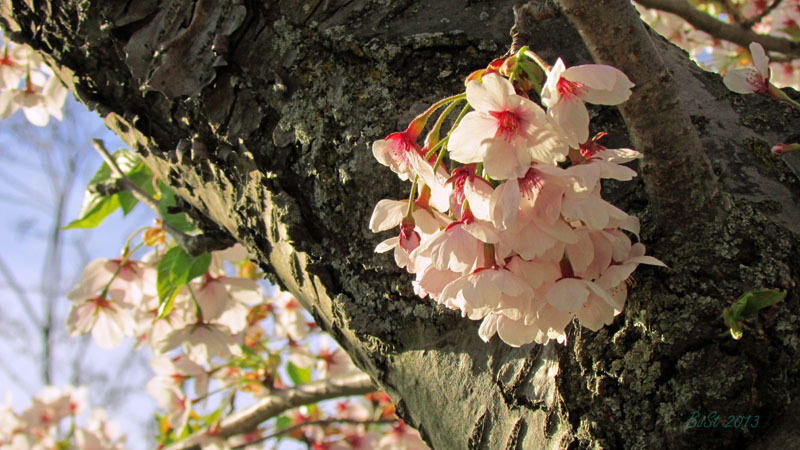 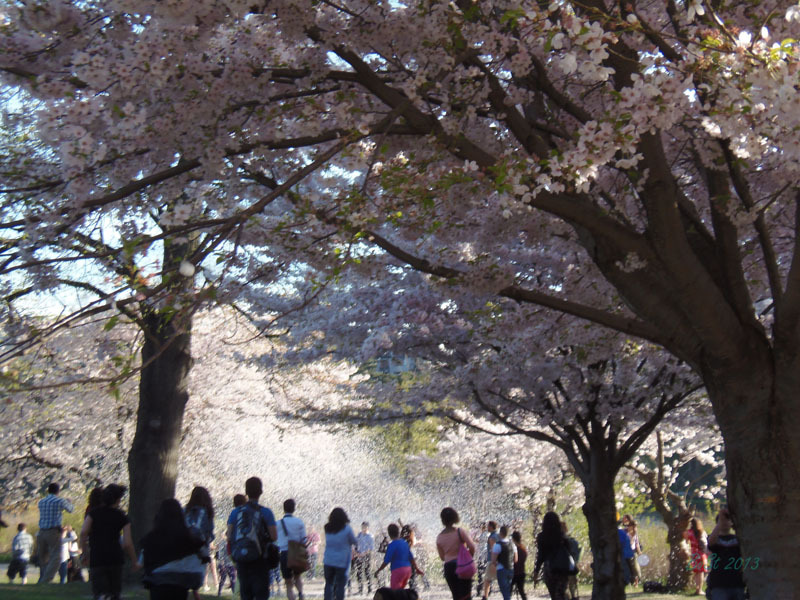 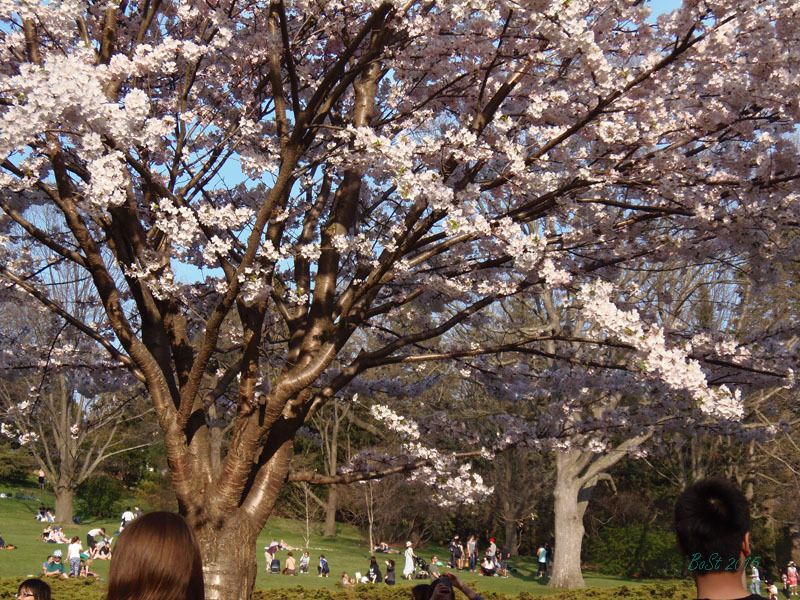 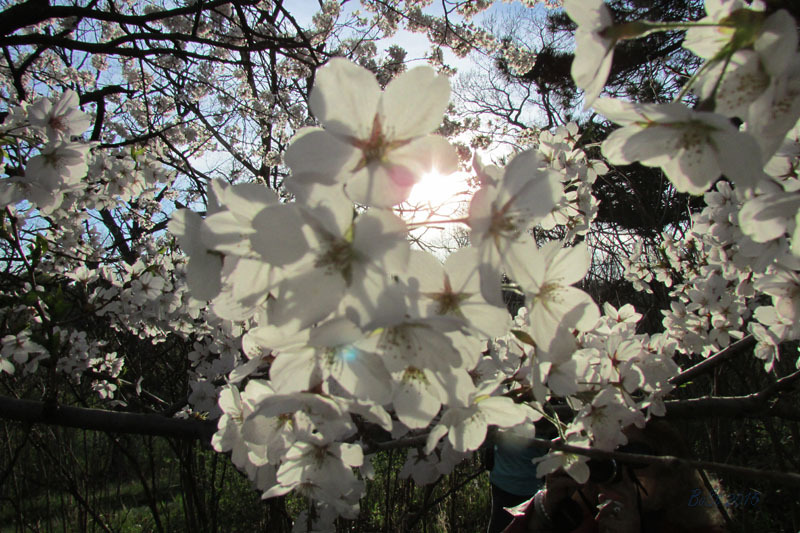 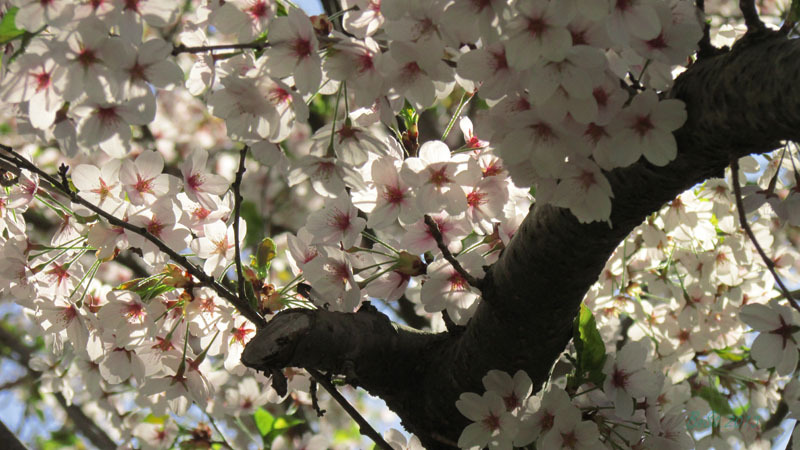 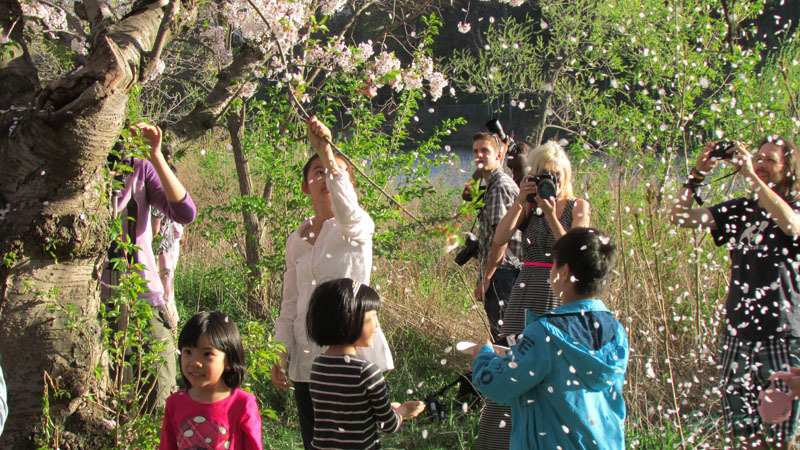 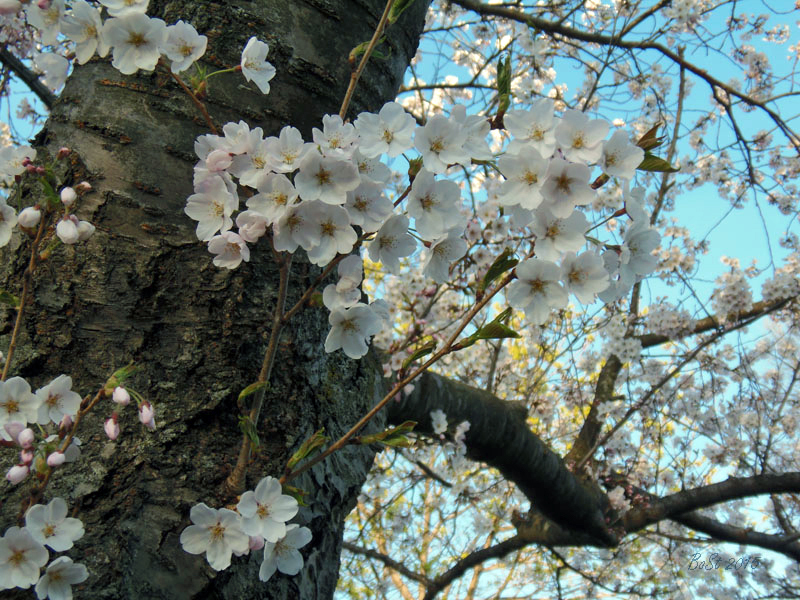 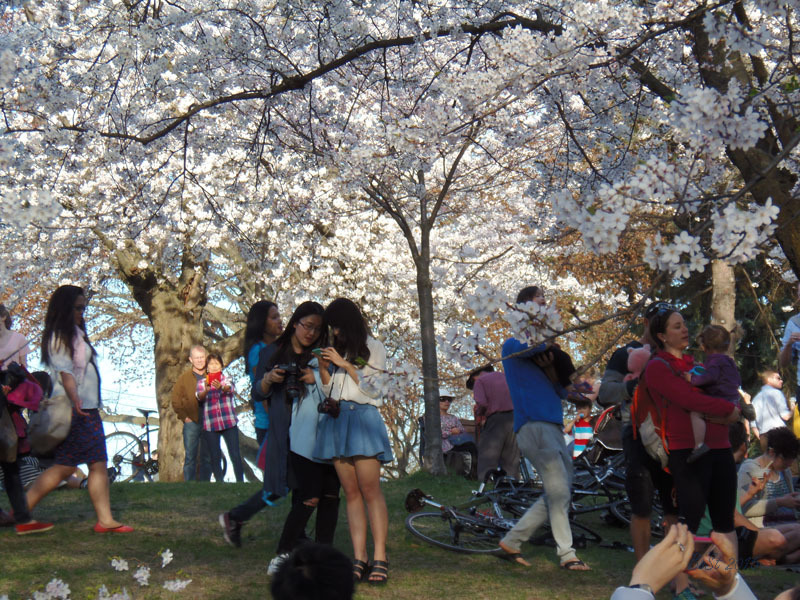 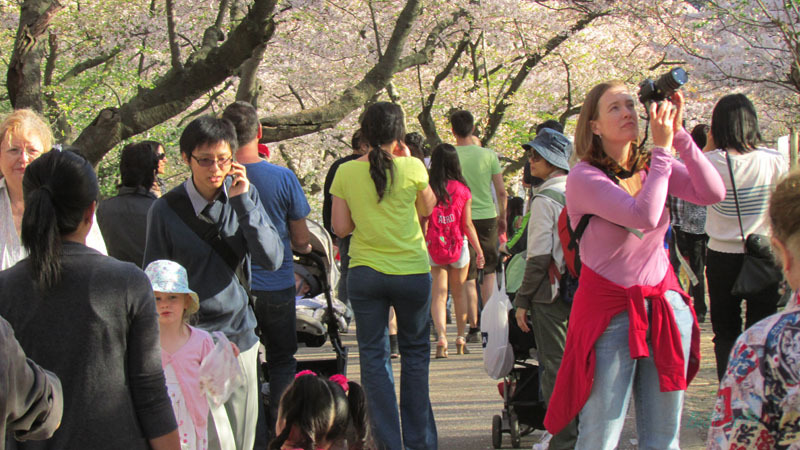 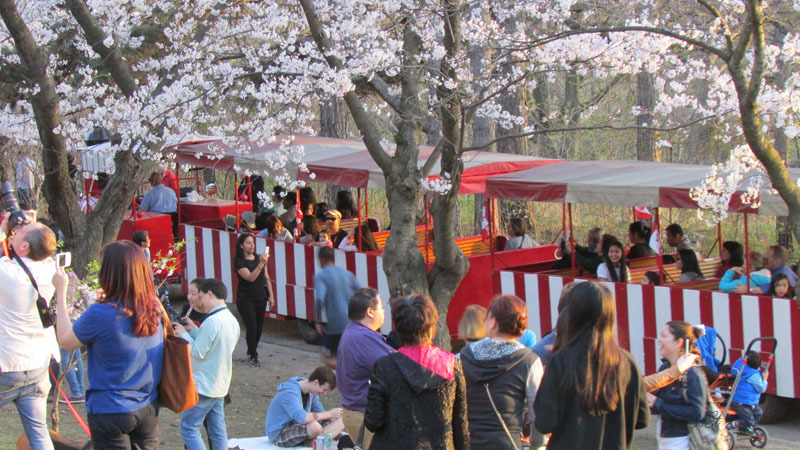 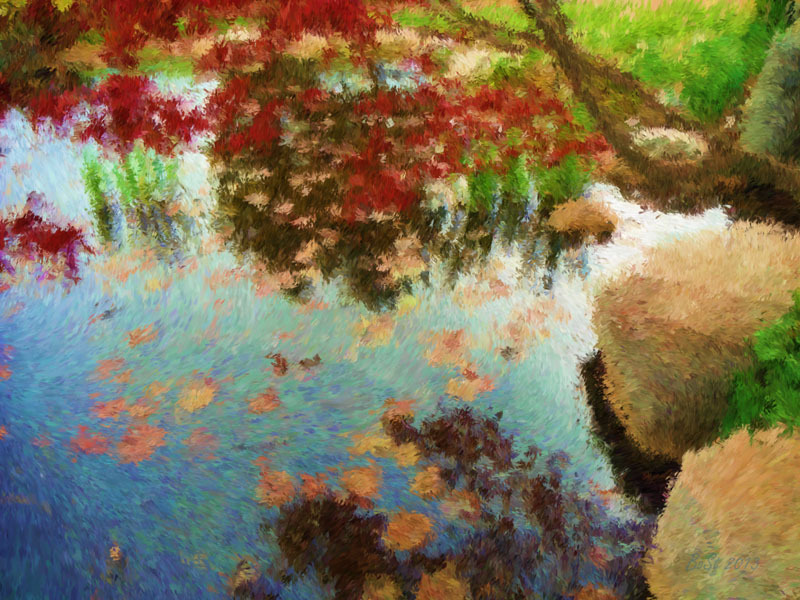 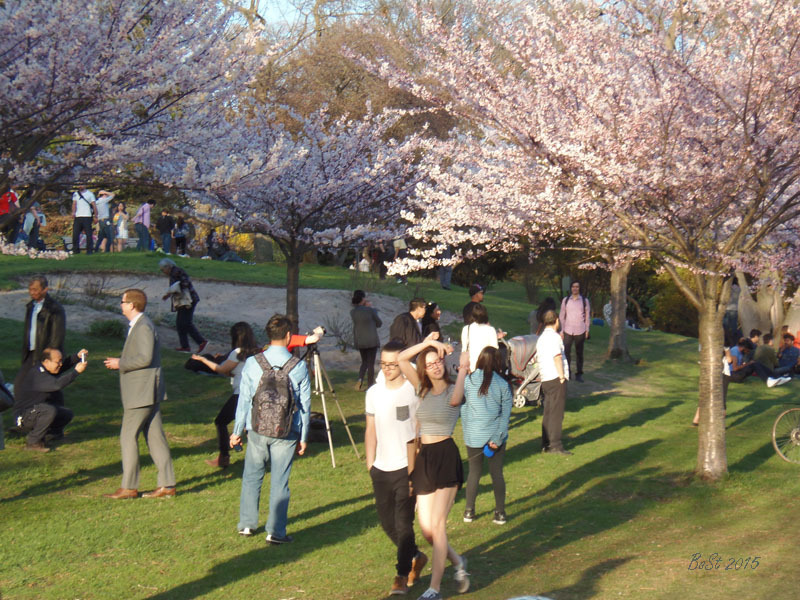 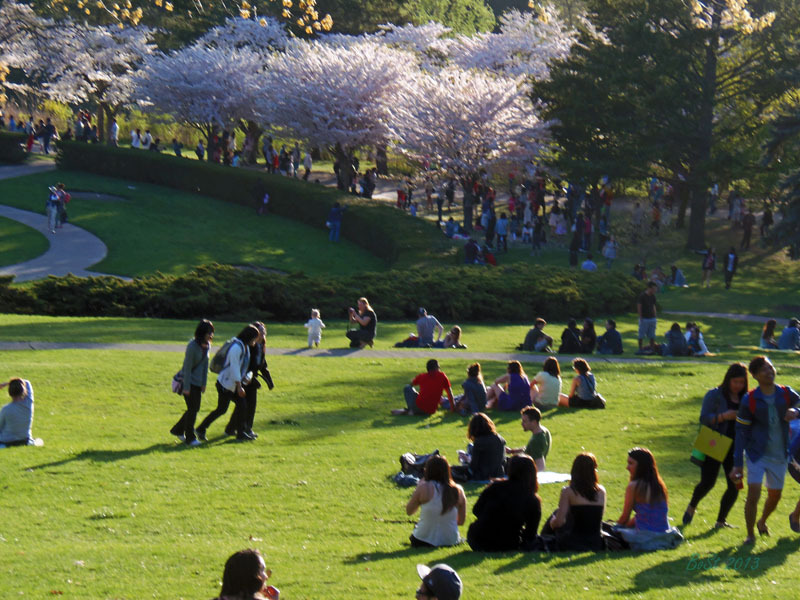 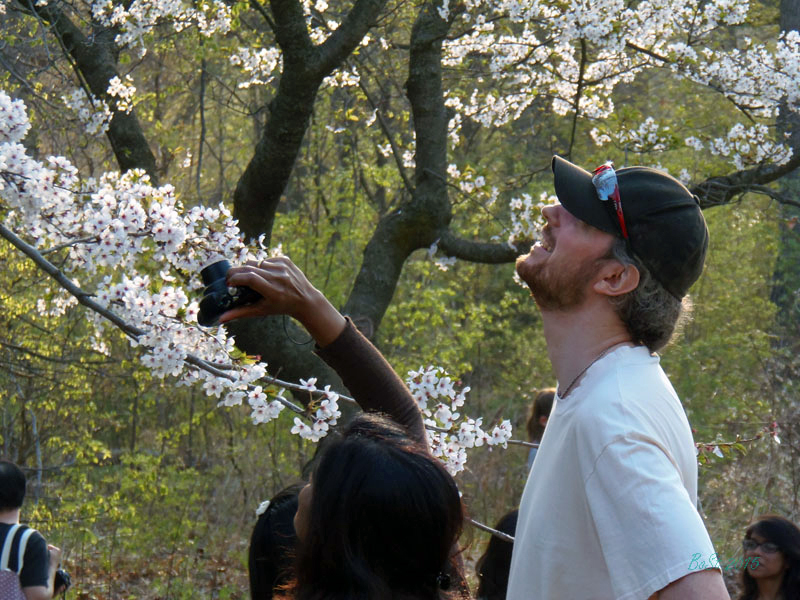 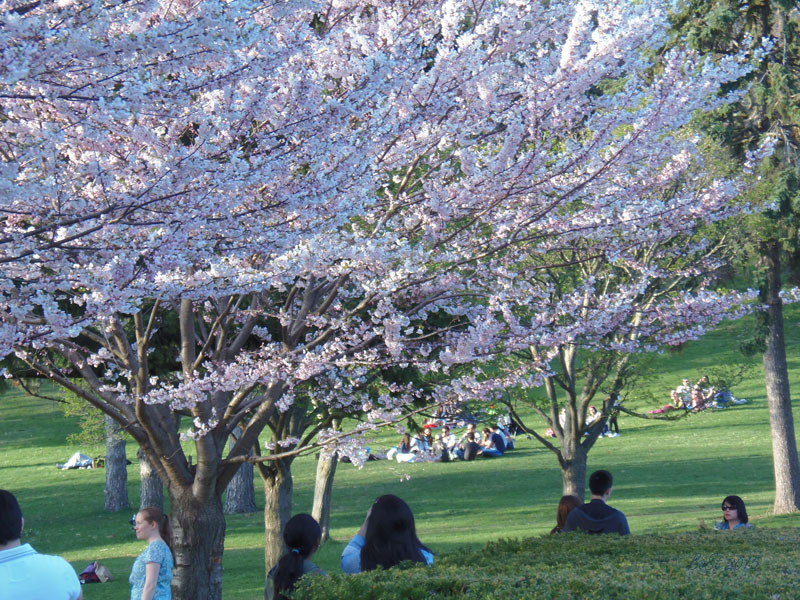 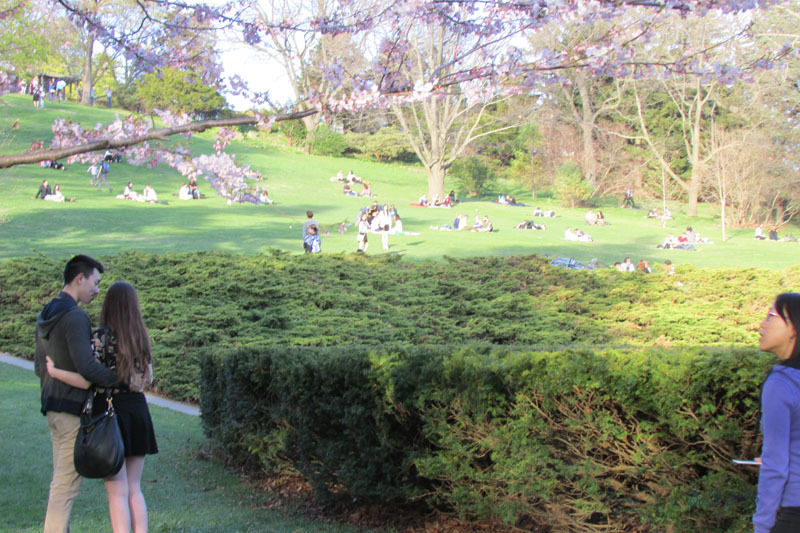 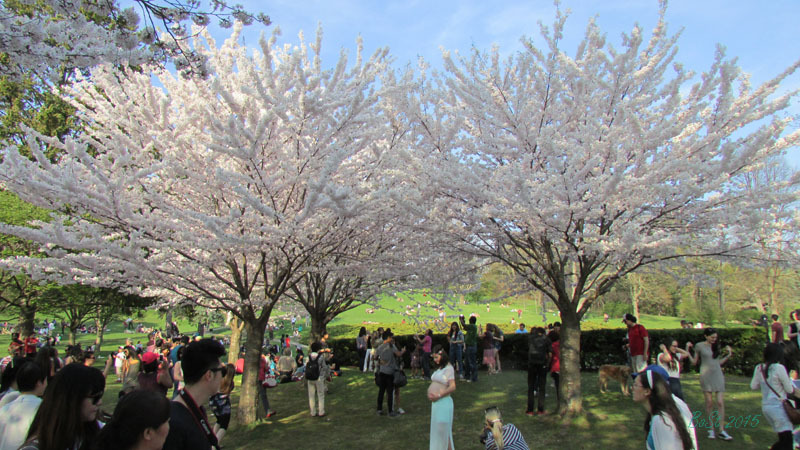 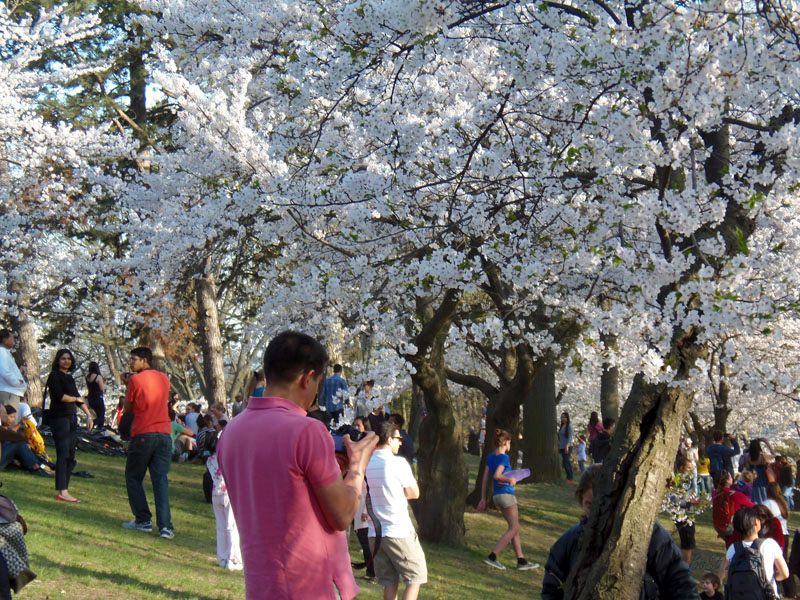 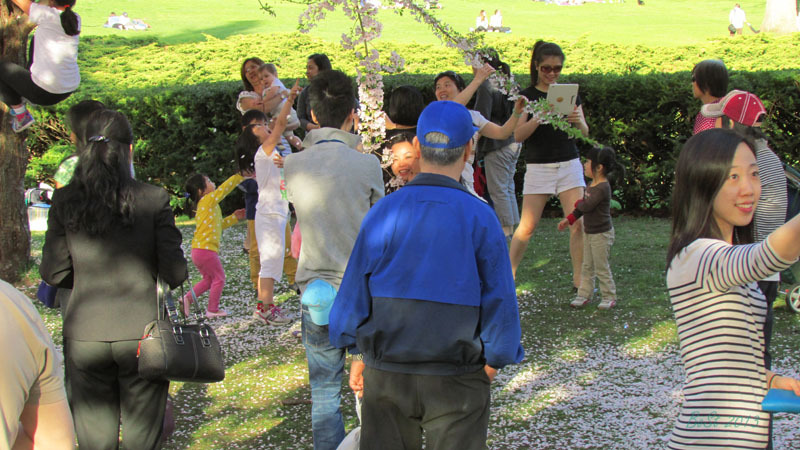 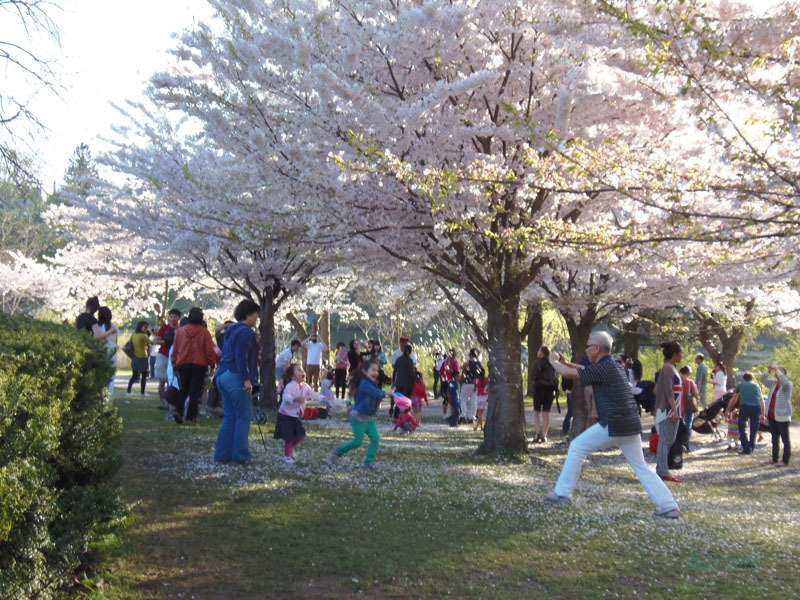 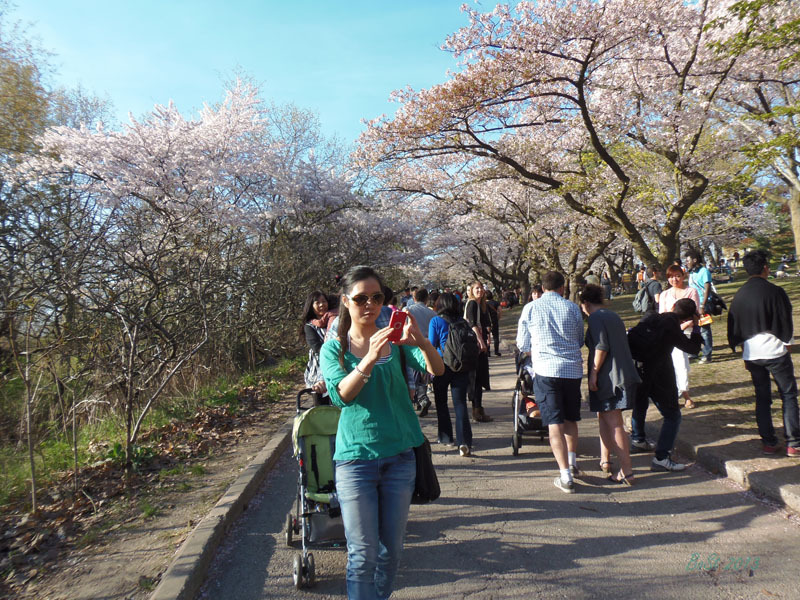 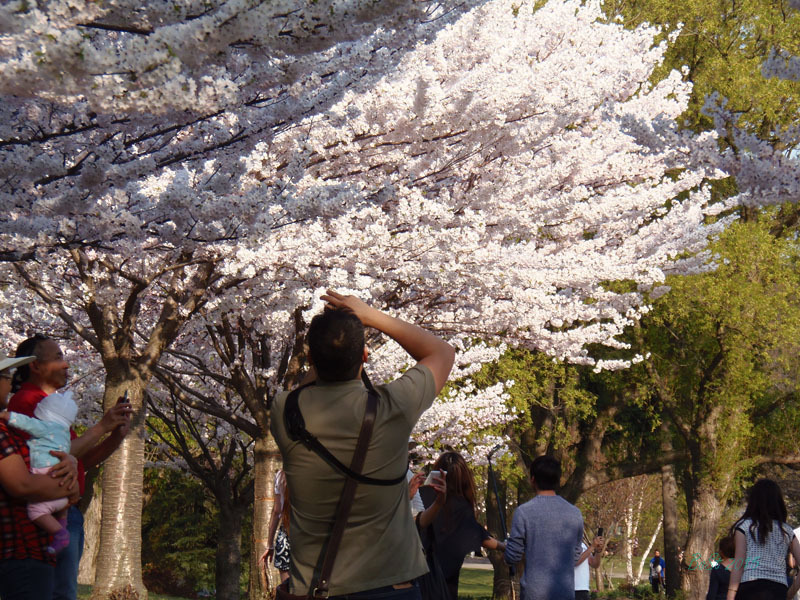 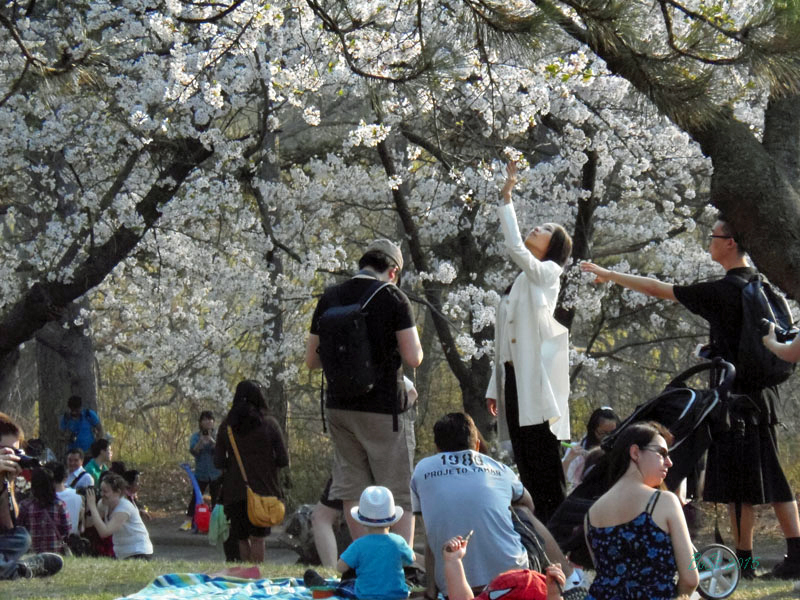 In 2001 (via Sakura Project) the Japanese Embassy donated an additional 34 Cherry trees to High Park. 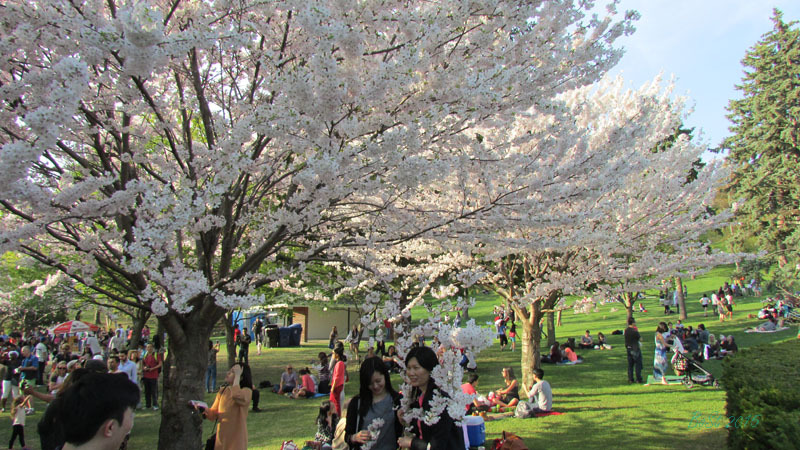 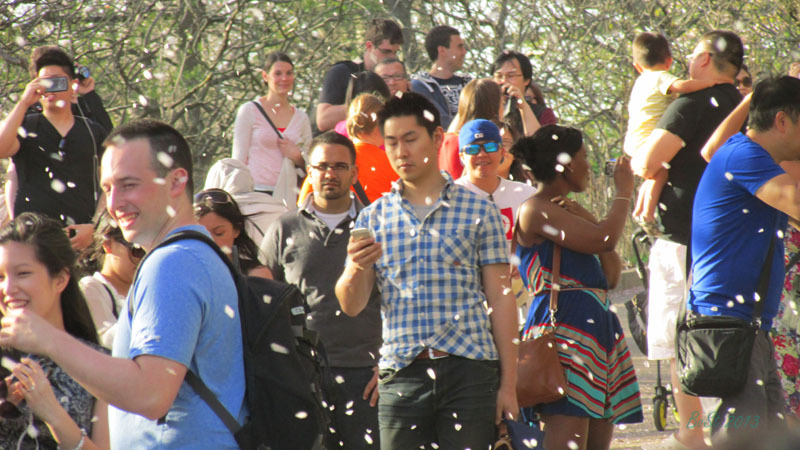 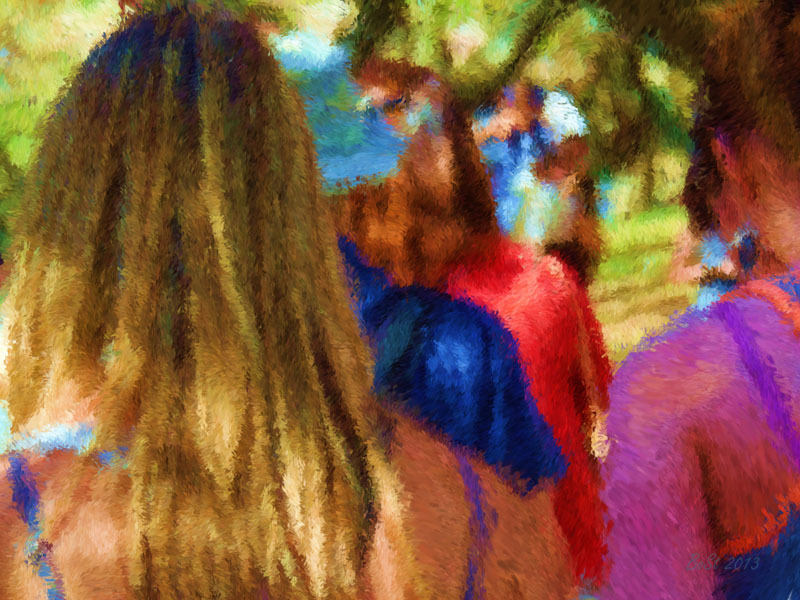 You may find a few more on the CNE grounds, at McMaster University, at York University and the University of Toronto. 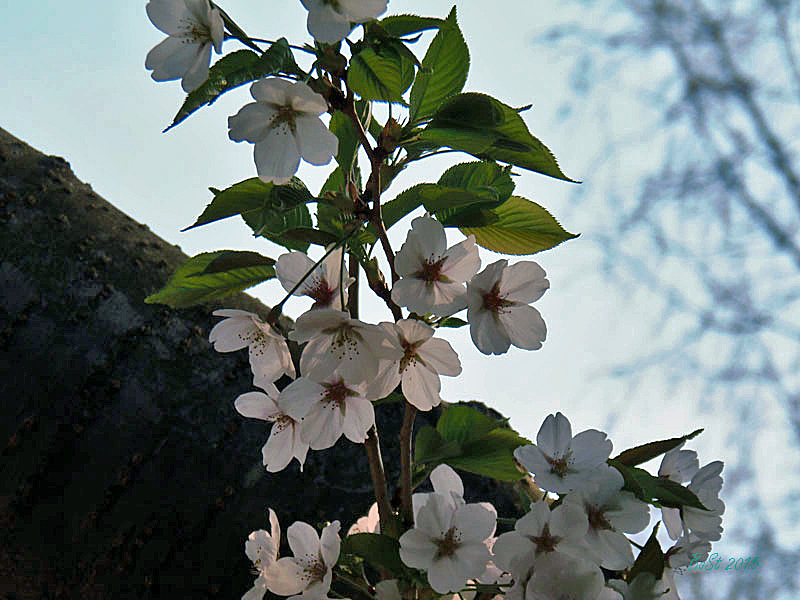 The flowers are almost pure white, with a touch of pale pink close to the stem. 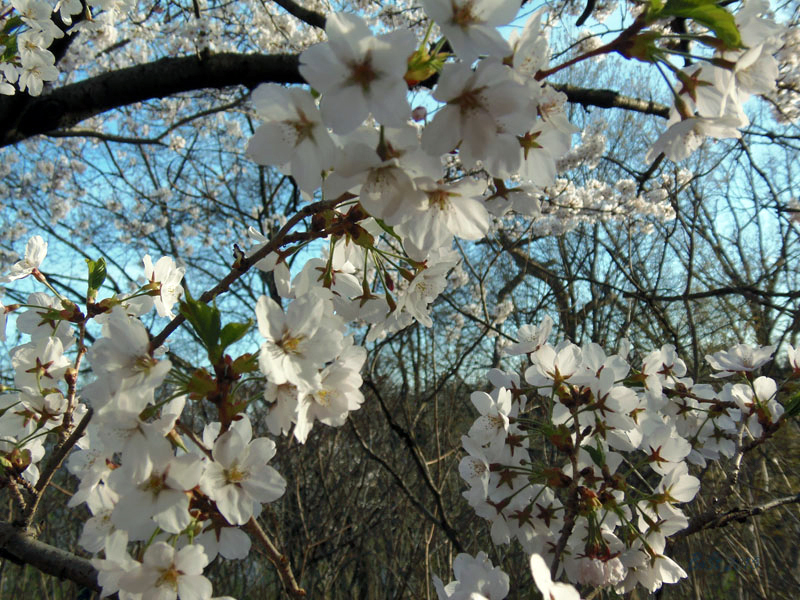 These blooms lasts less than a week, falling off before the leaves appear. 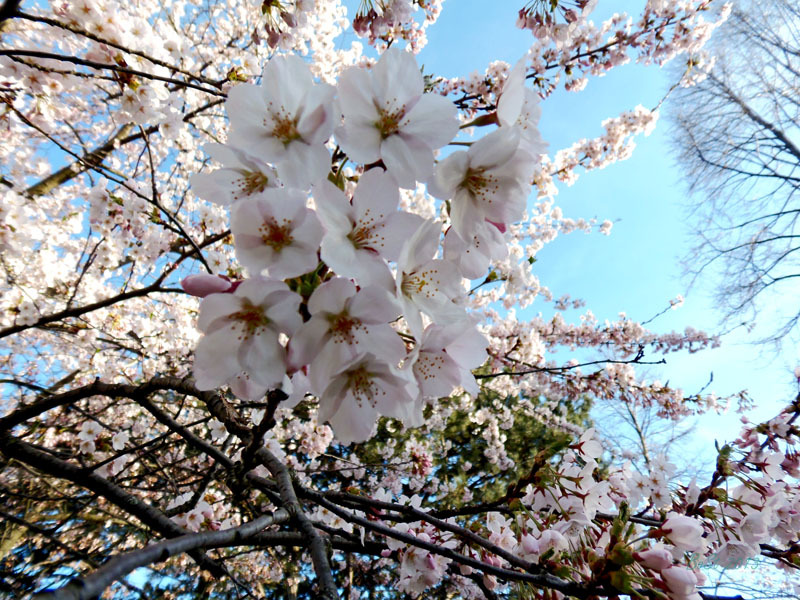 The variety that was developed in the mid to late 19th century (at the end of the Edo period and the beginning of the Meiji period) takes its name from the village of Somei (part of Toshima in Tokyo). 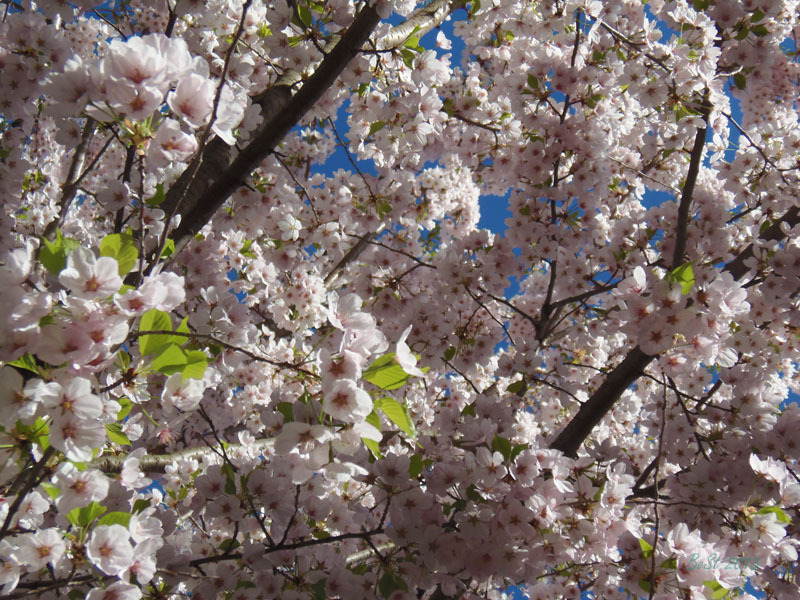 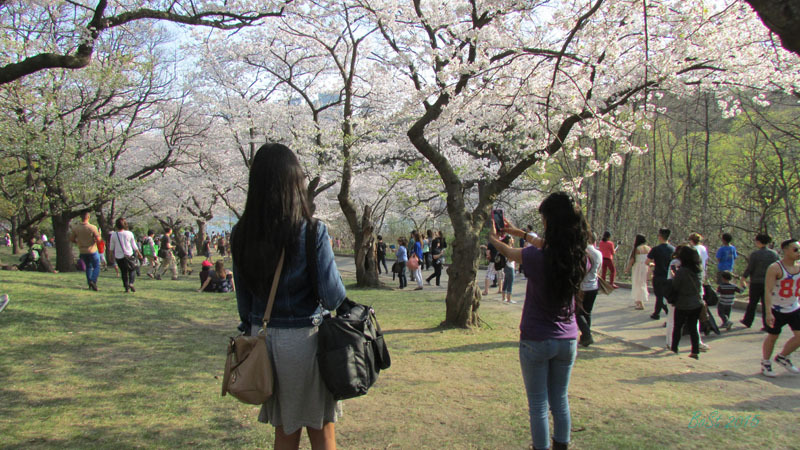 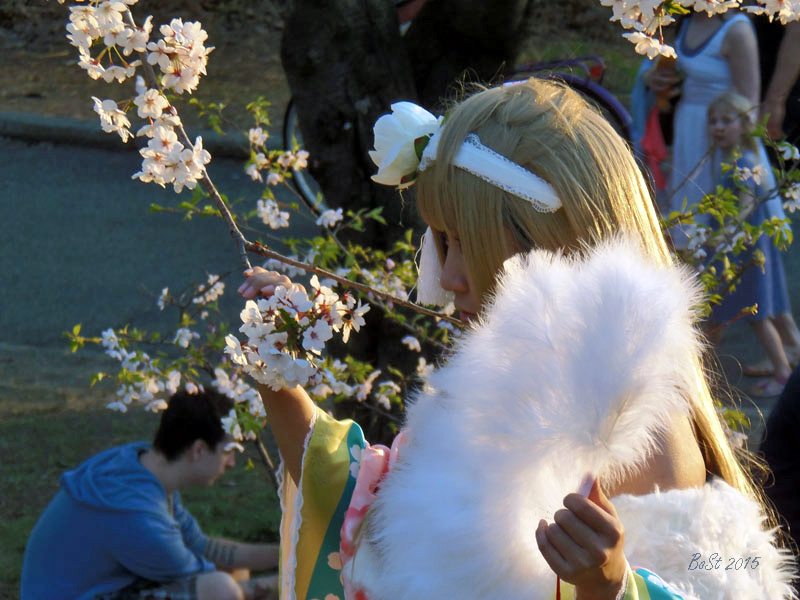 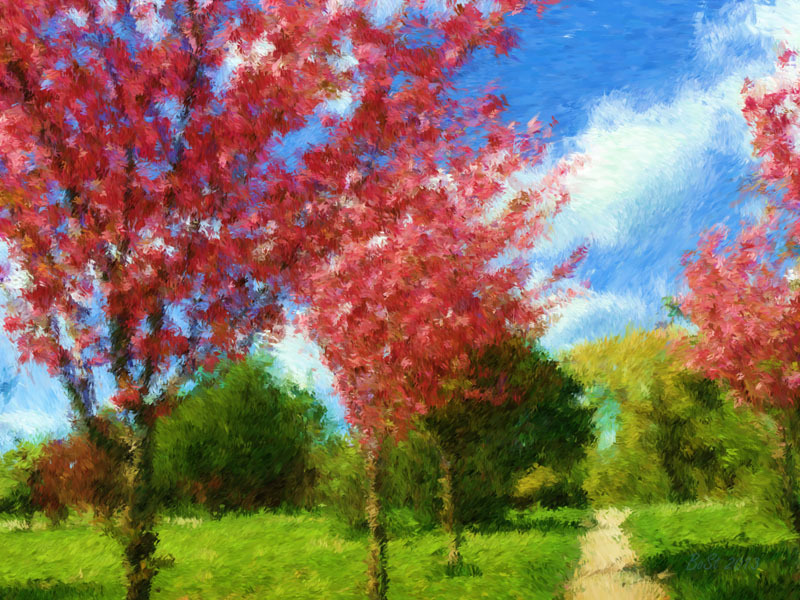 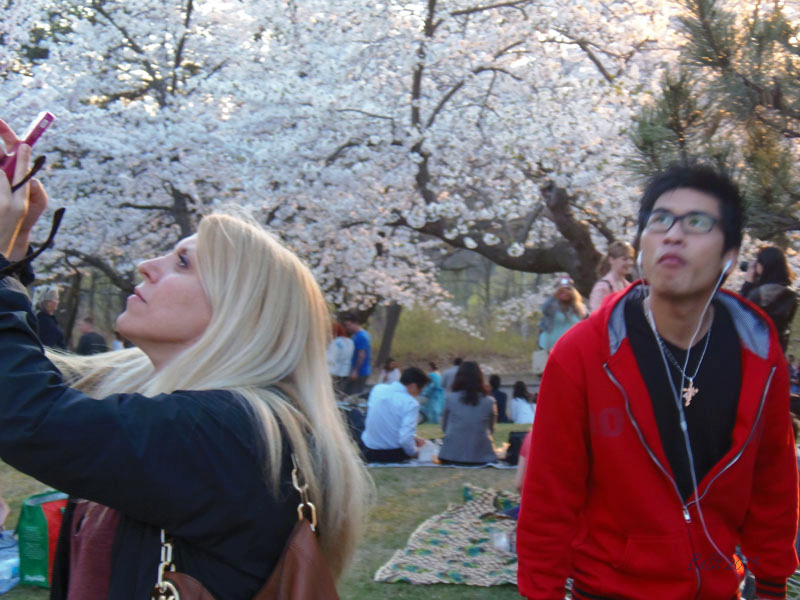 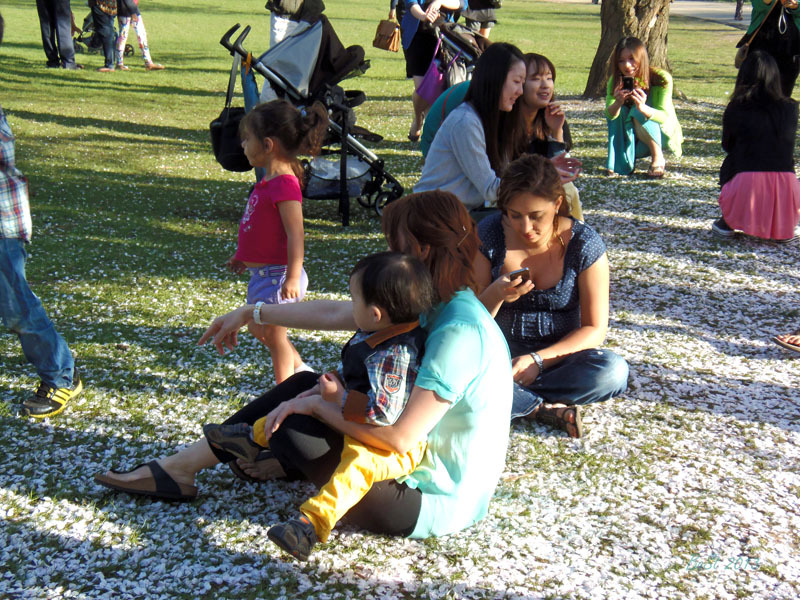 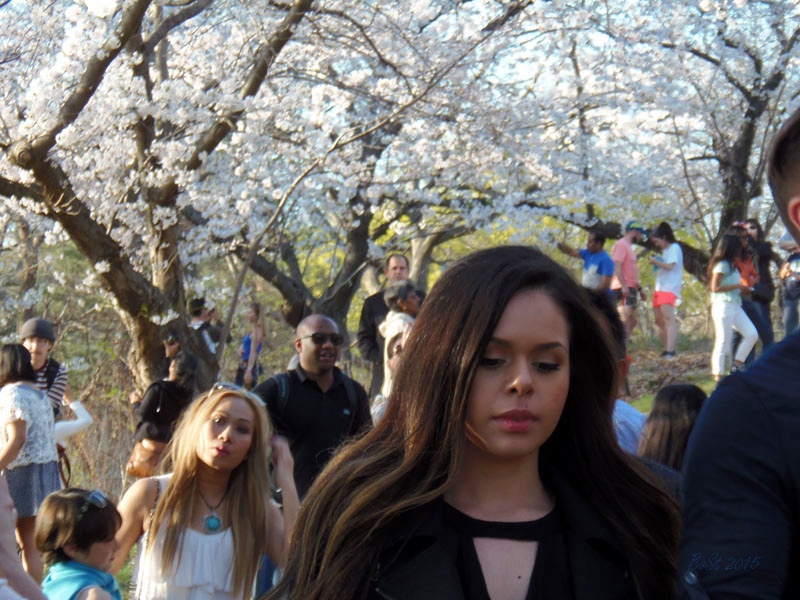 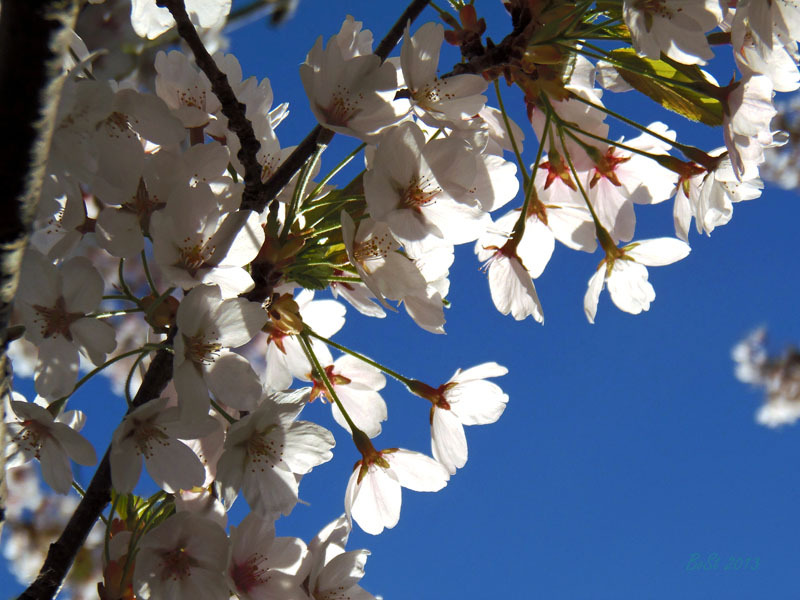 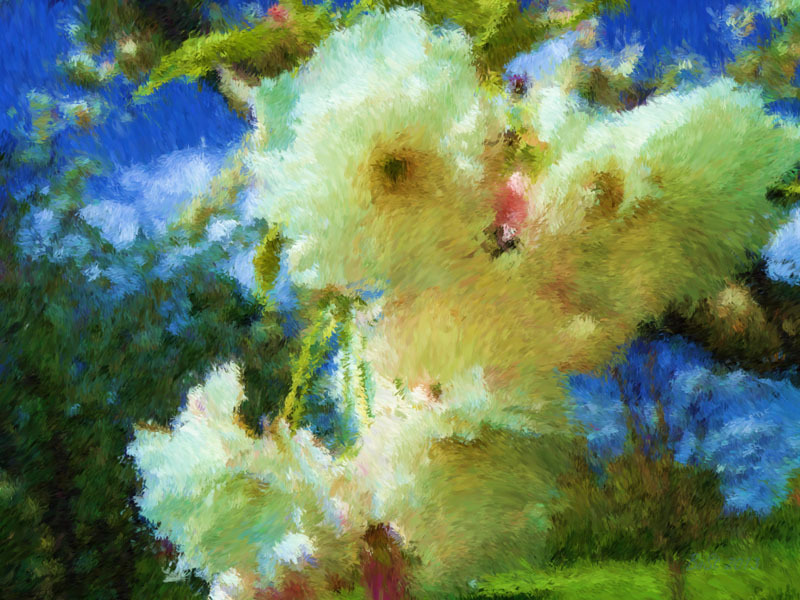 The Cherry blossoms usually symbolize clouds (because of their blooming in abundance and all at once). 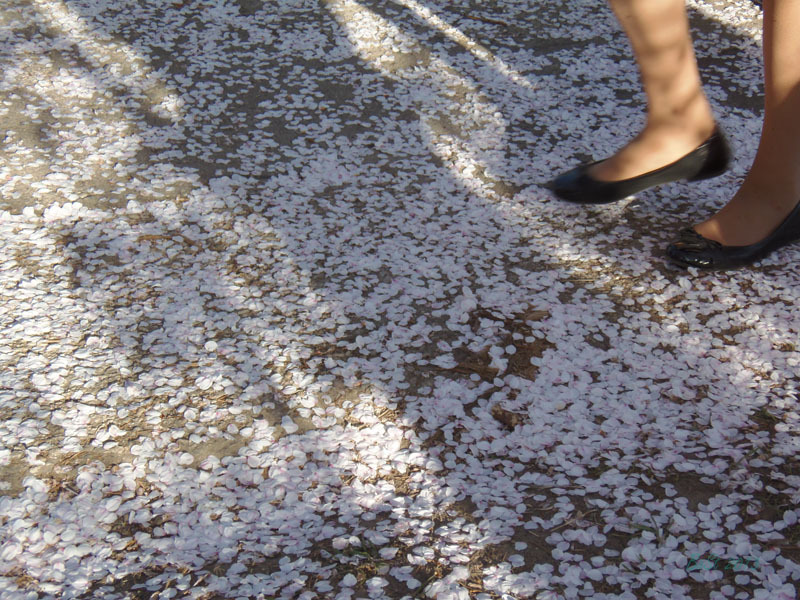 It is also a metaphor for the ephemeral nature of life (which is a Buddhist influence), an embodiment of the concept of “Mono no Aware” (literally “the pathos of things”). 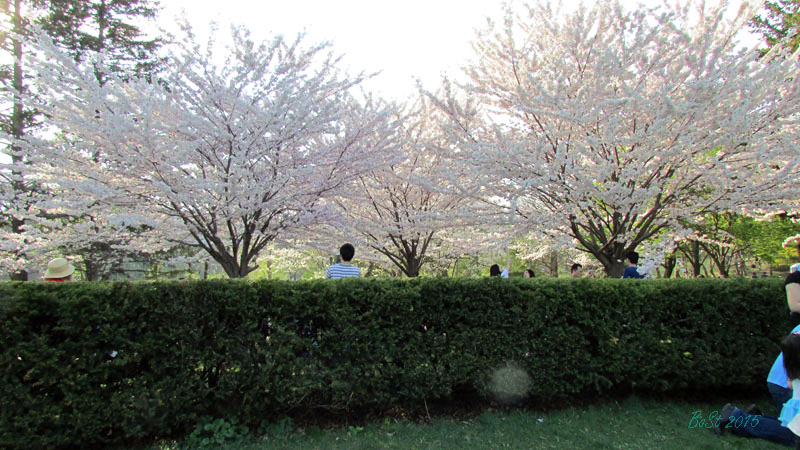 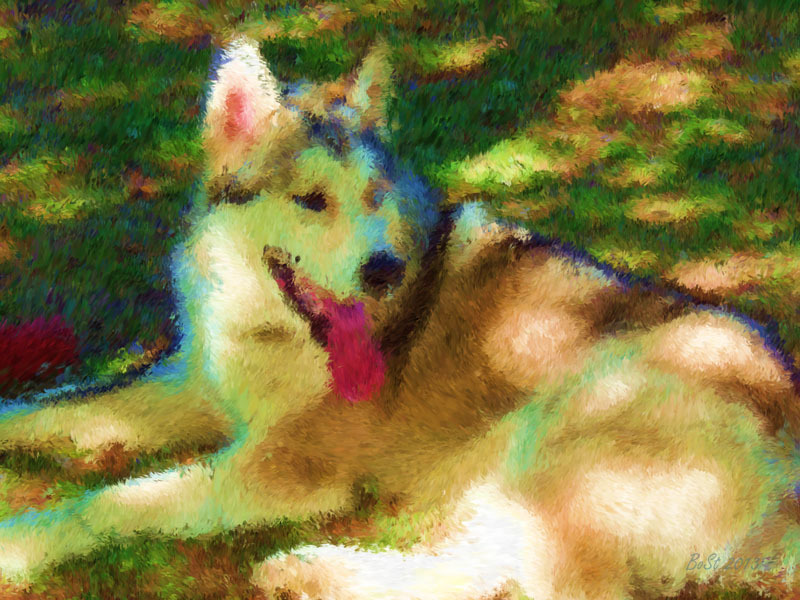 The transience of the blossoms, the great beauty and swift death has frequently been linked with mortality.